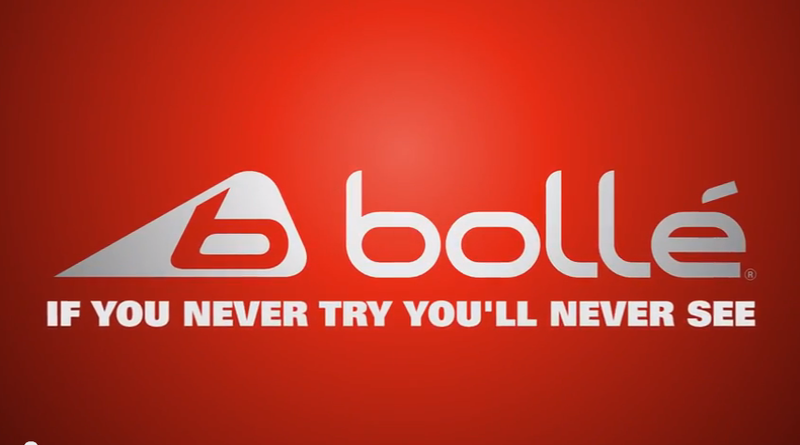 THE AGENCY THAT PERFORMS BOLDLY! 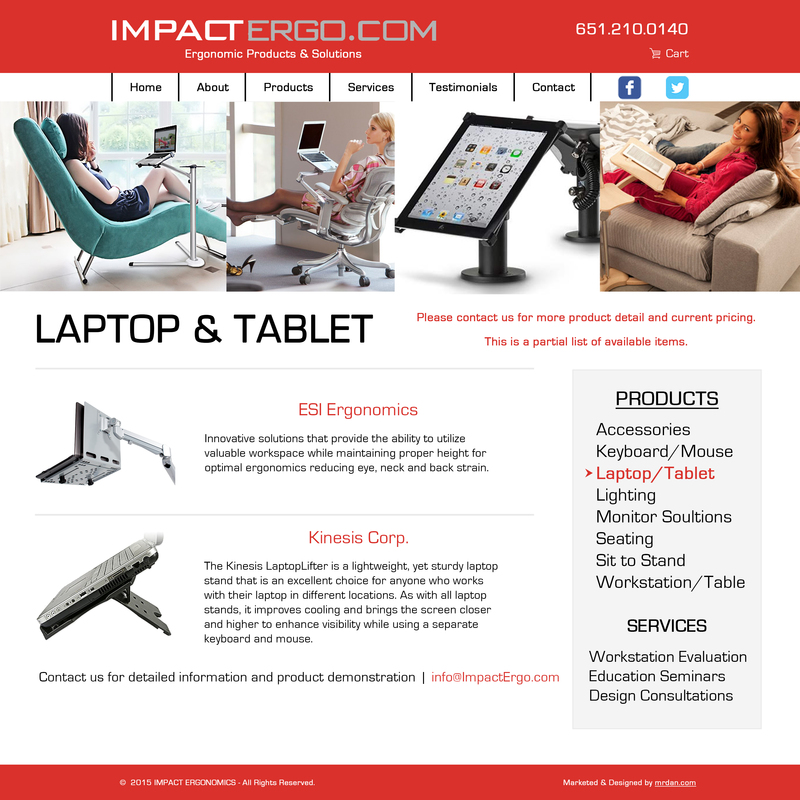 A Premier Marketing & Visual Communications Company. 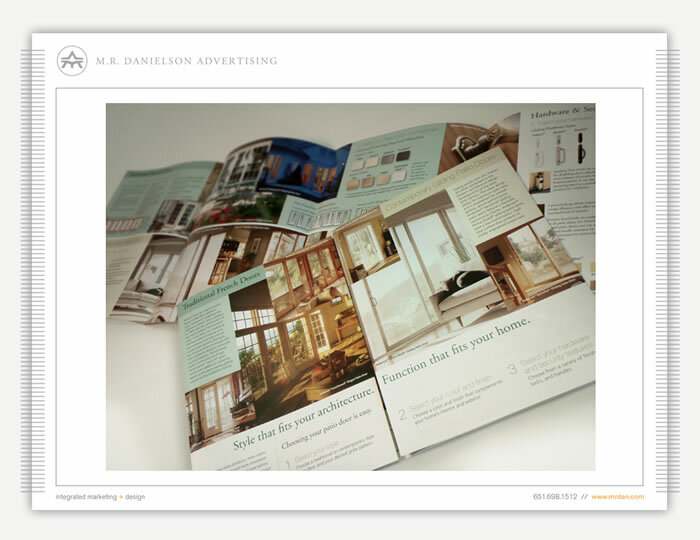 M. R. DANIELSON ADVERTISING is a visual communications company specializing in integrated marketing & design. 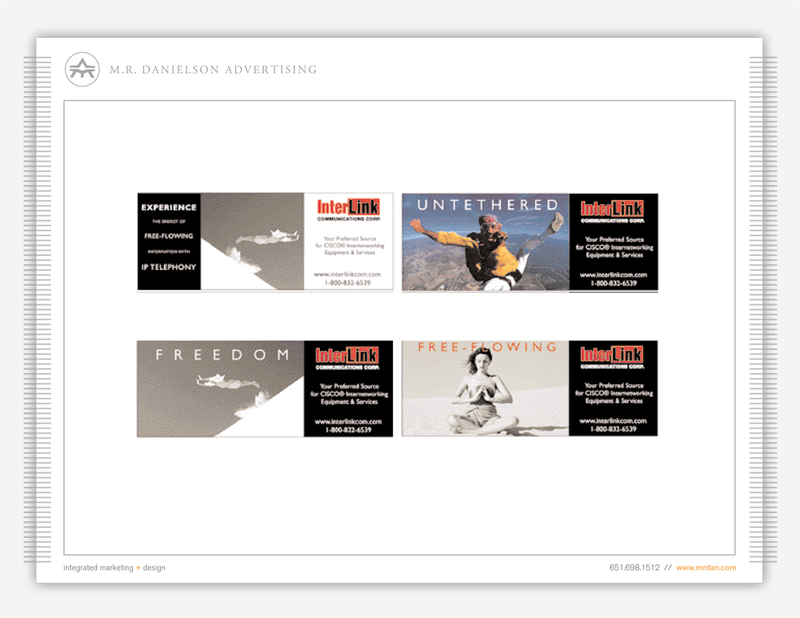 Our agency is a leader in business & consumer advertising worldwide because we understand the concept of creativity through simplicity. 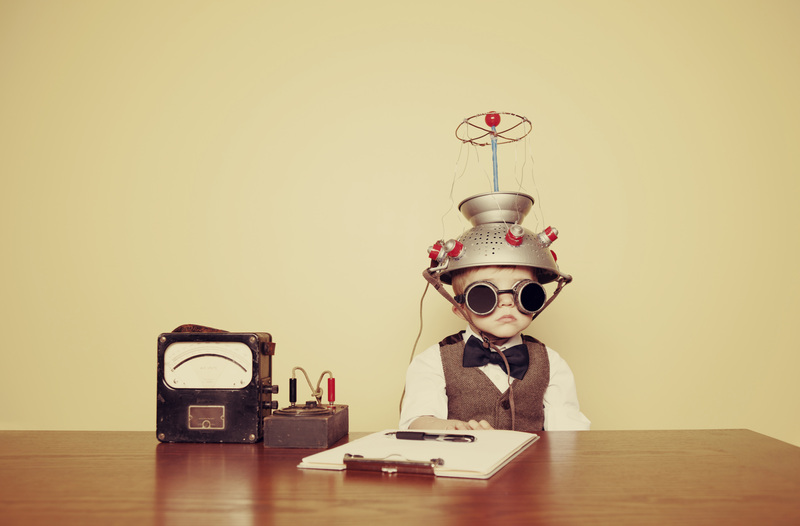 This magnificent process we employ ignites big ideas while producing successful and dynamic campaigns. 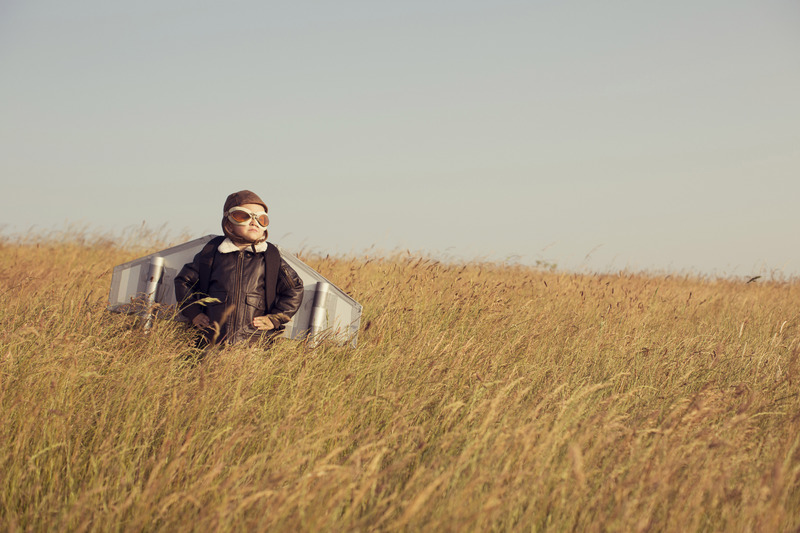 As a child fascinated by the unknown, Michael Roy Danielson would look to the sky and dream of launching a rocket ship into outer space. 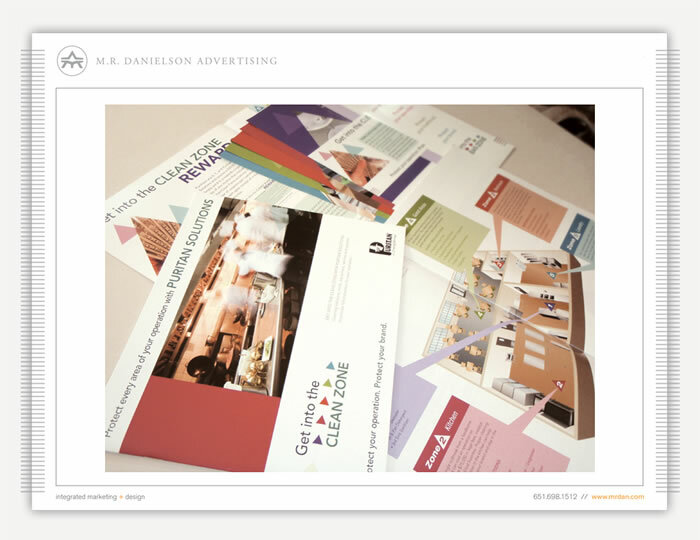 Growing older, this vision took on the shape of a creative advertising agency. 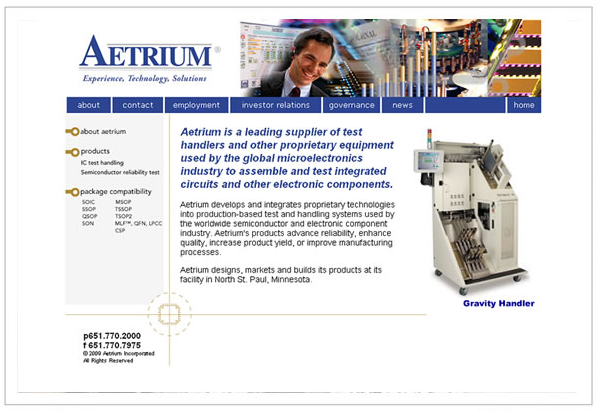 He knew it would take imagination, innovation and determination to get his business off the ground. Michael ignited the spark that made his dreams a reality. 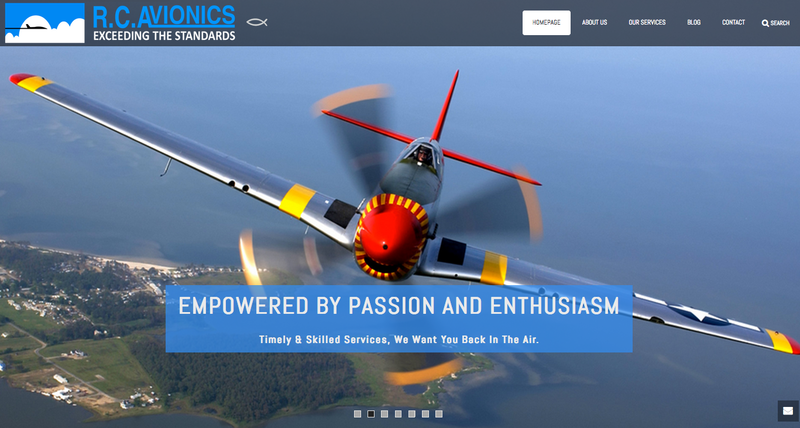 ``With Amazing Photography, Informative Video, & Dynamic Animation. 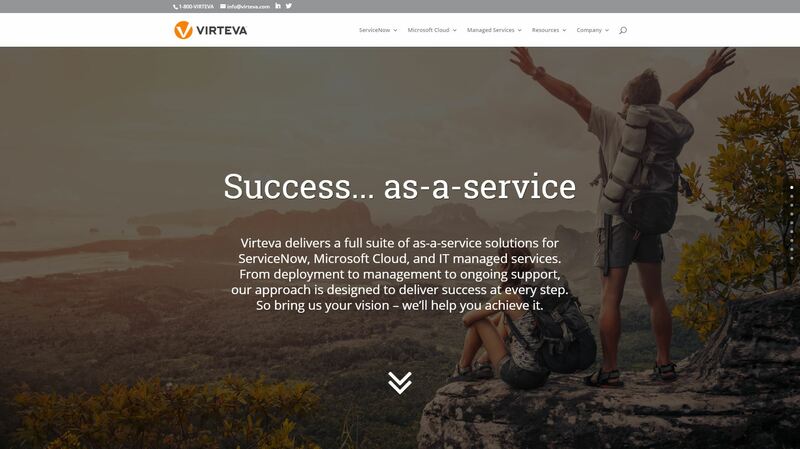 Presenting our ‘Six Service Matrix Program.’ With over three decades of marketing experience we developed a truly integrated system that has adapted to the way companies communicate in today’s ‘digital’ world. 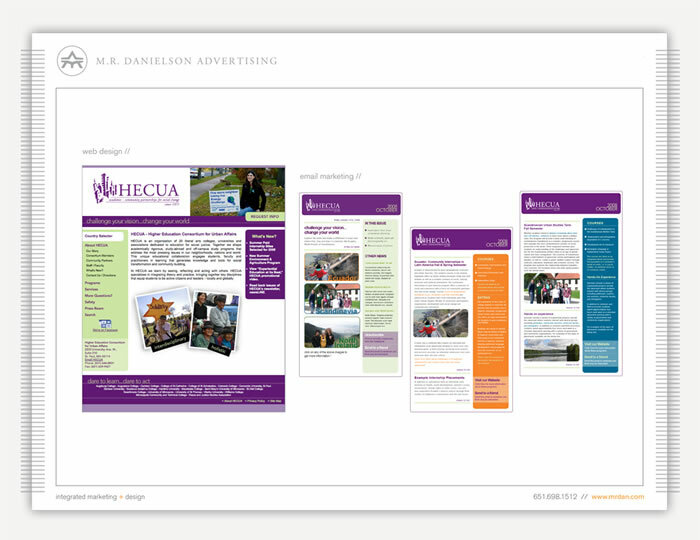 Our advertising agency offers single service projects to fully integrated marketing and design campaigns. 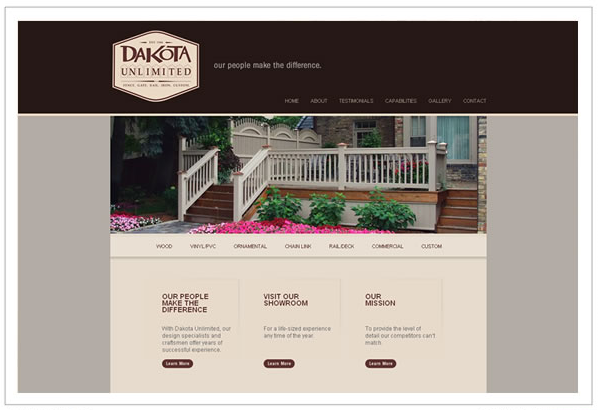 Our services include: brand strategy, web development, online marketing, digital design, social media, & multi media solutions. 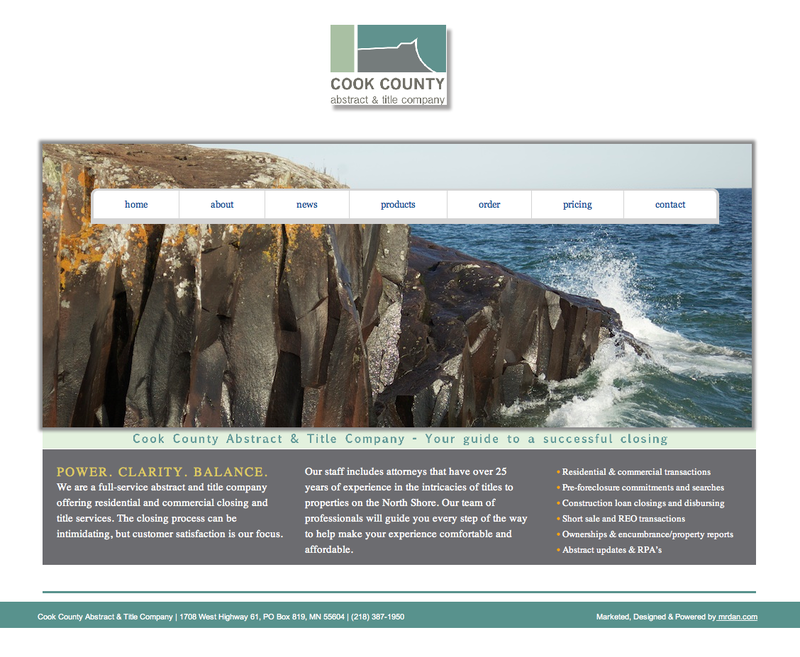 These services act independently as well as integrate together to form a universe that encircles your company with a cohesive brand of continuity and uniformity. 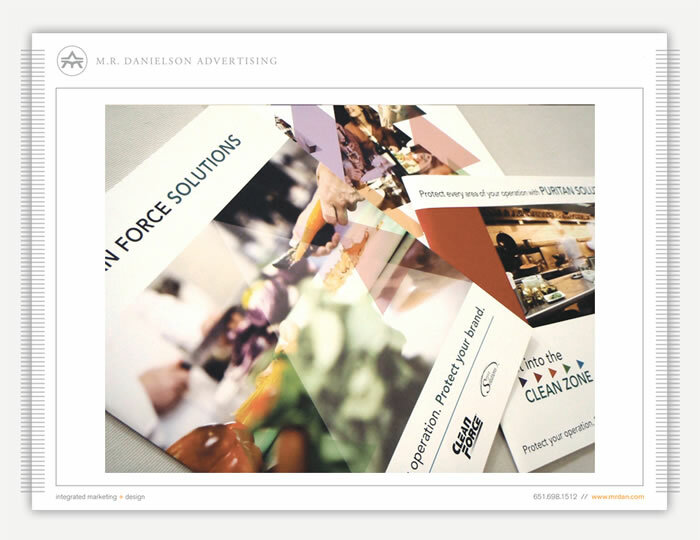 Our agency encircles your company with a powerful mixture of integrated marketing & design services. 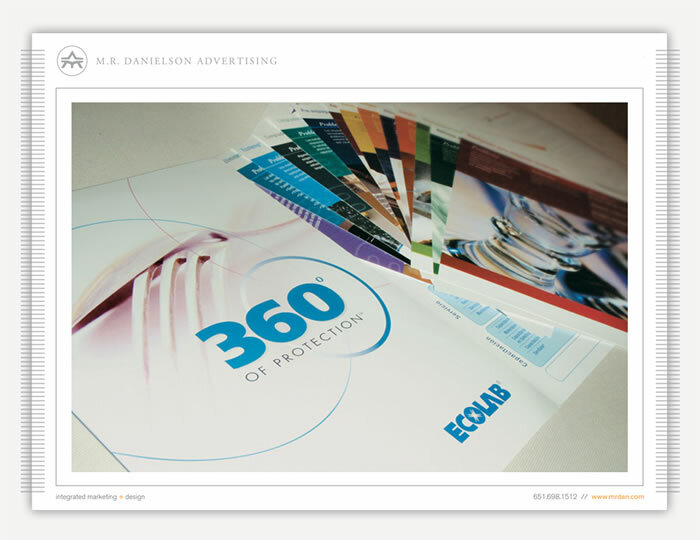 What we enjoy the most in advertising is coming up with endless creative ideas and solutions. 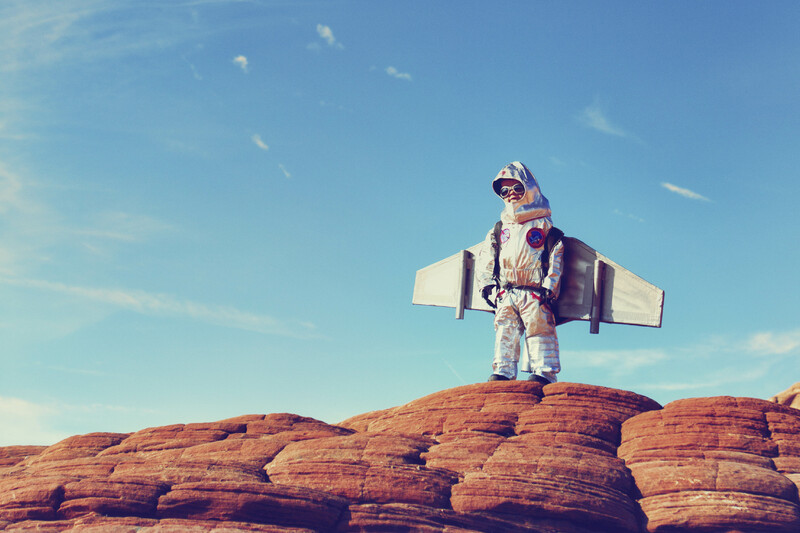 New innovations, powerful technologies, and a talented team of creatives is what makes us unique. 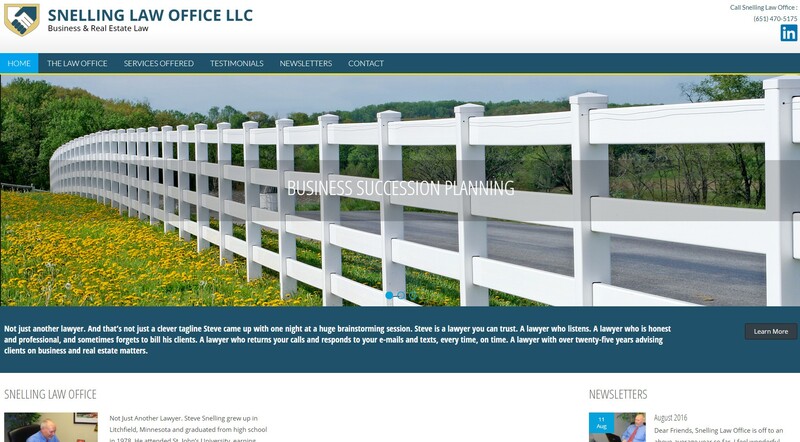 Weather it is a logo, website, advertising campaign, online marketing program, video, packaging design, or complete branding strategy we help our clients choose the best projects, campaigns, and strategies to secure their future marketing goals & visions. “CREATE THE SPARK THAT IGNITES BIG IDEAS"
We are a visual communications agency providing affordable marketing & design services that meet our clients business needs. 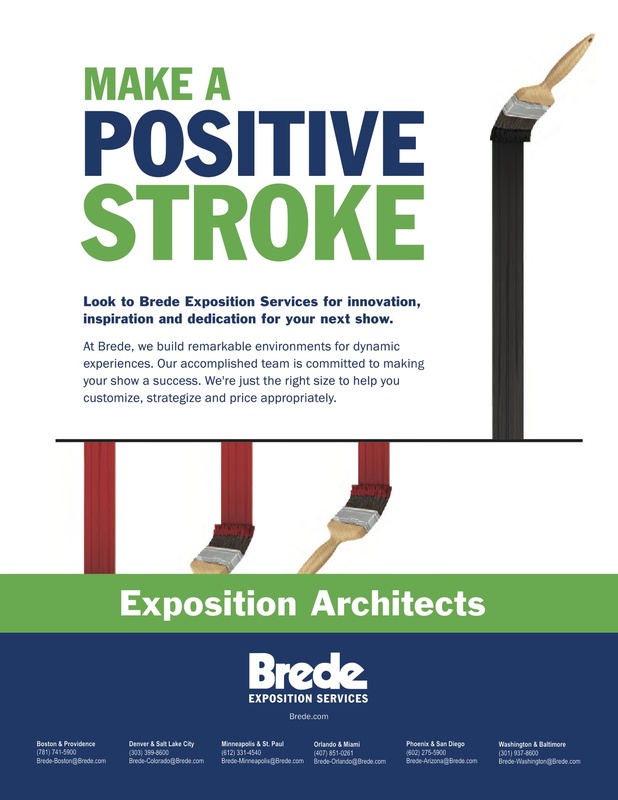 If you are a small to mid-sized company looking for help on a single project, creating campaigns, or work with you on an annual retainer, we are the right fit for you. 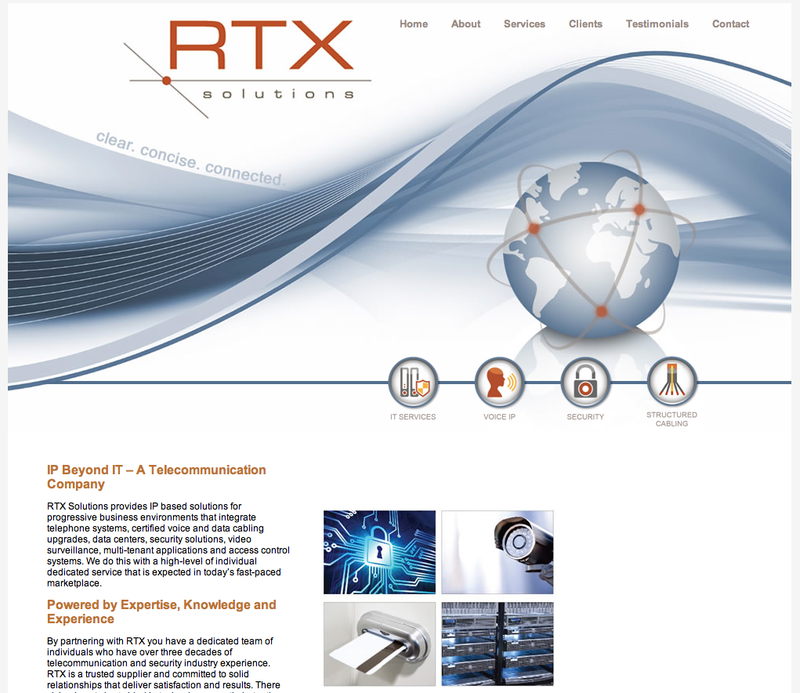 The creative process we employ allows us to continually change the focus of our services to the technology and software platforms of the day. We pride ourselves with long-term client relationships, many of them who have been with us since day one ~ An Agency You Can Trust since 1986. 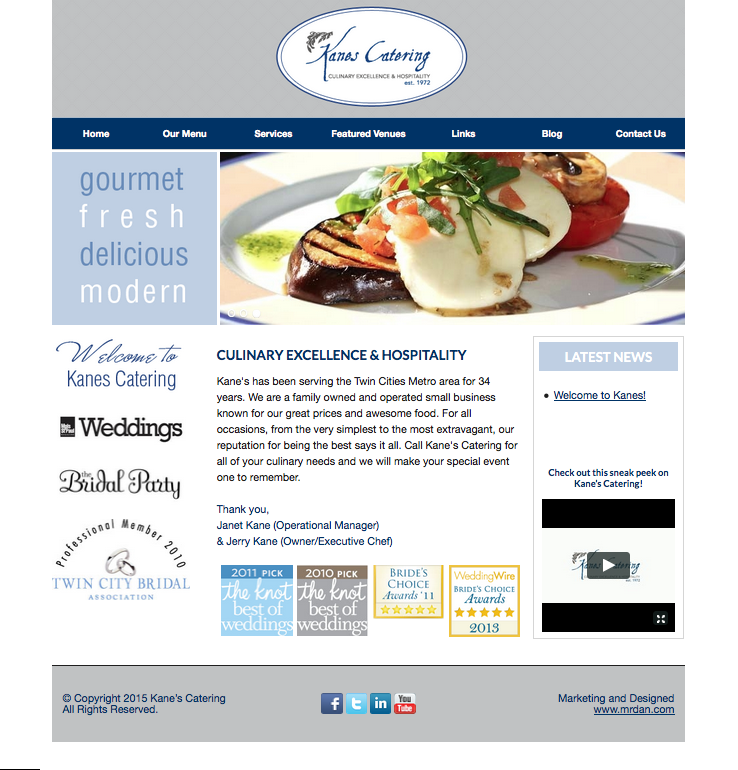 Managing Our Client's Creative Content. 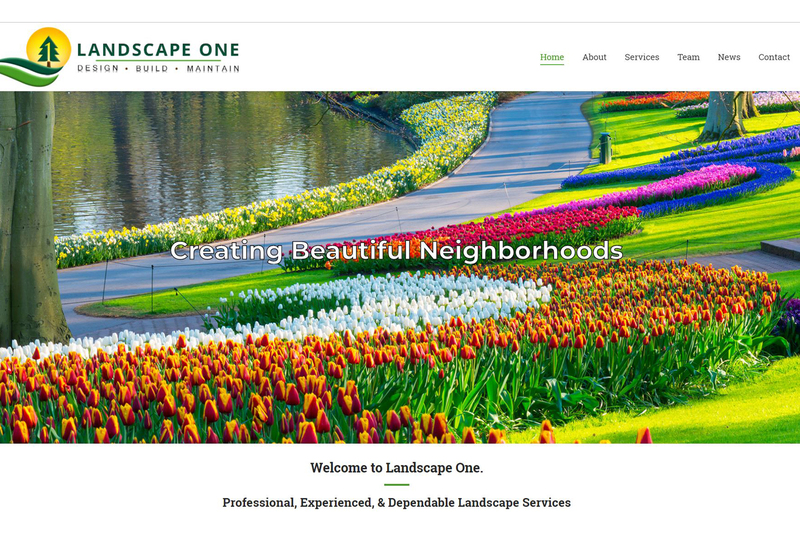 Our experienced team of creatives is always accessible and accountable to our clients. We establish close relationships with our partners and earn their trust by delivering successful and affordable advertising solutions. 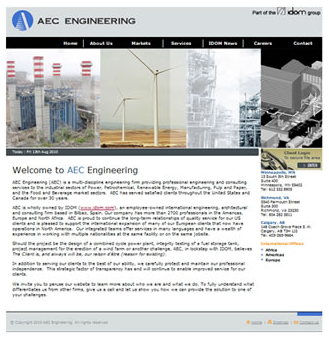 Our agency handles content management, data analytics, and digital archiving to assure our clients projects are current, effective, and safe. 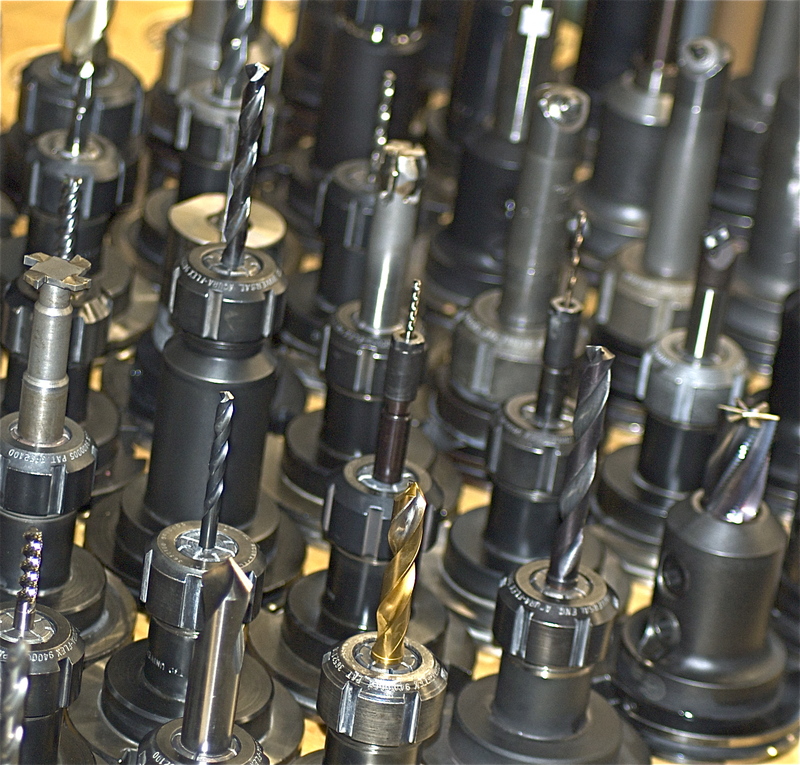 This process we deploy allows for quick analysis that helps determine project success. 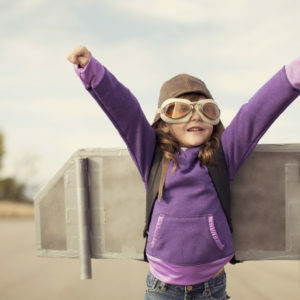 We create, develop, and launch your campaigns while managing your digital content for future needs ~ Creativity that Lifts You Up. 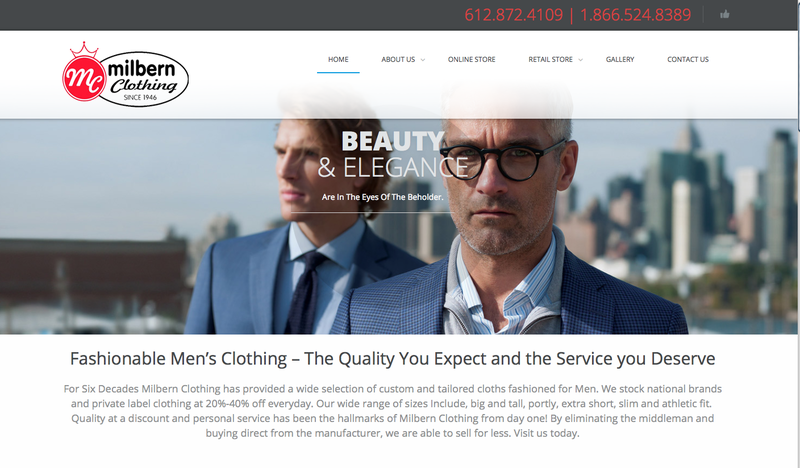 Created a strong FASHION brand for a local well known Men’s clothing store. 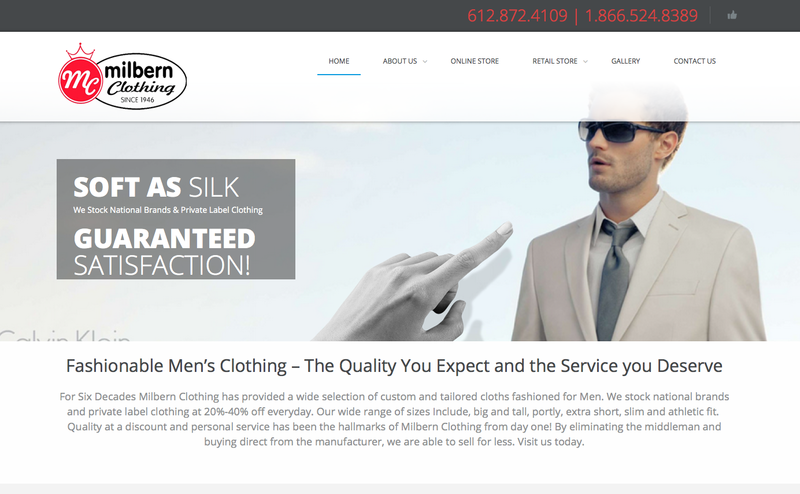 This site presents suits, shirts, pants,ties and accessories as well as an e-commerce section for men. 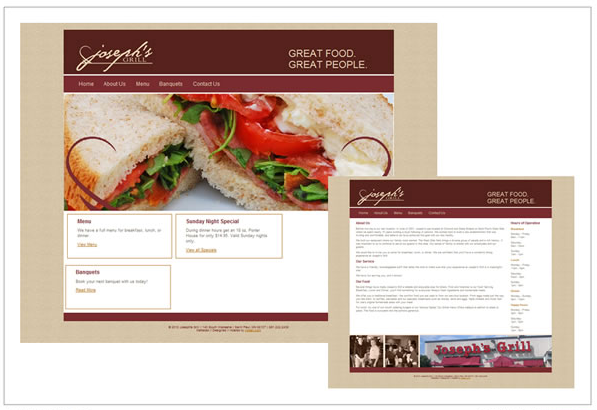 Website Development – Programmed, designed and launched a simple but complex visual environment into one of the easiest ways to BUY readers on the net. 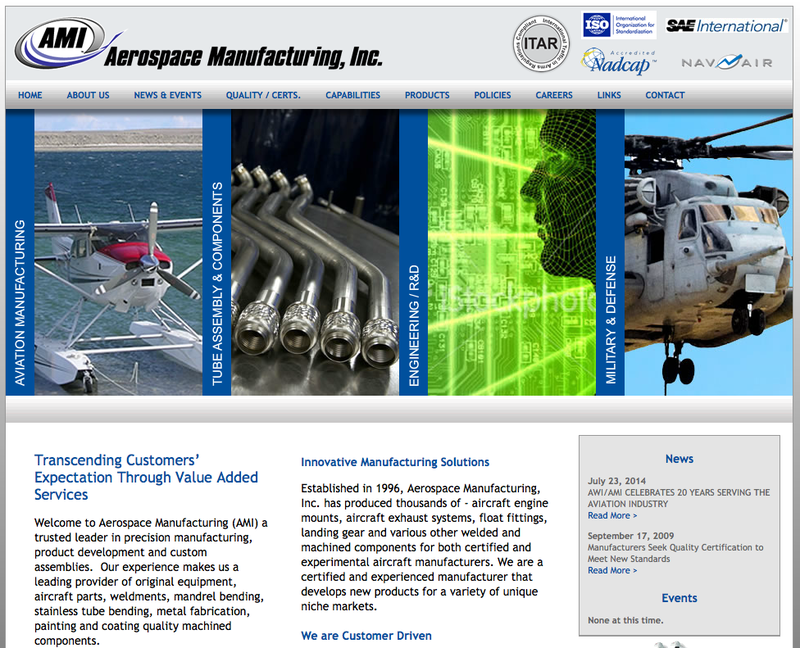 Animations of colorful and graphic images presents strong marketing positioning. 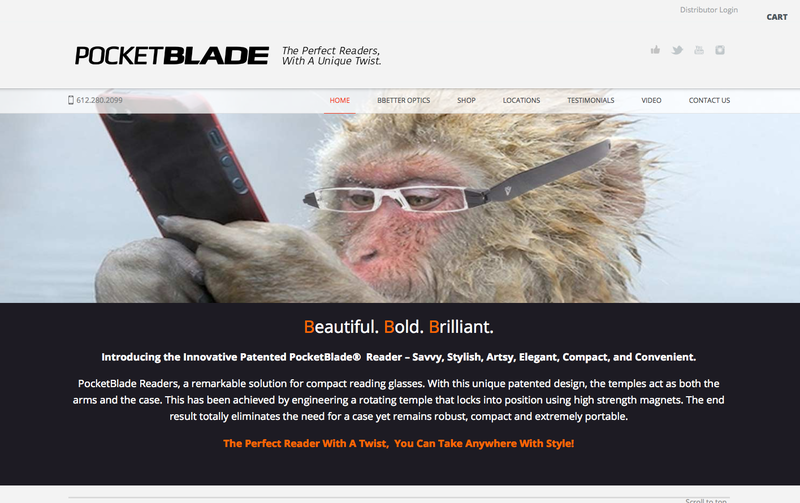 Created a photograph (humor) on this page of the site, this unique image allows our customers to enjoy and have fun with their Readers. 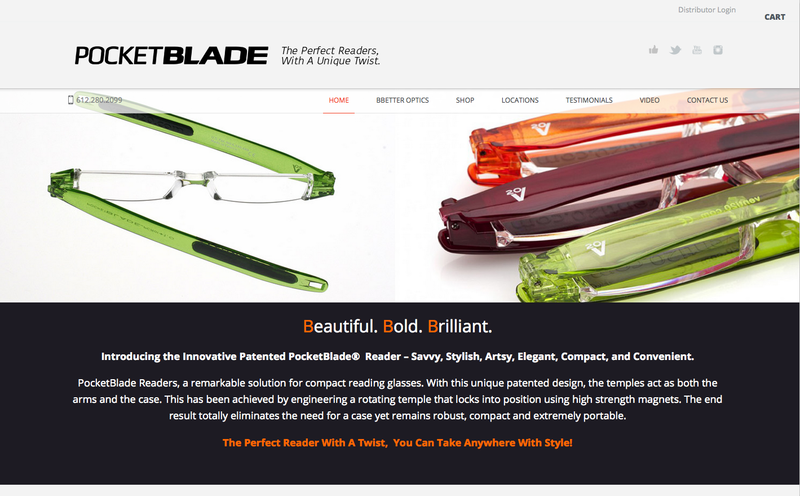 The dynamic design integrates social with e-commerce and has contests on-line as well as coupons and sale propositions. 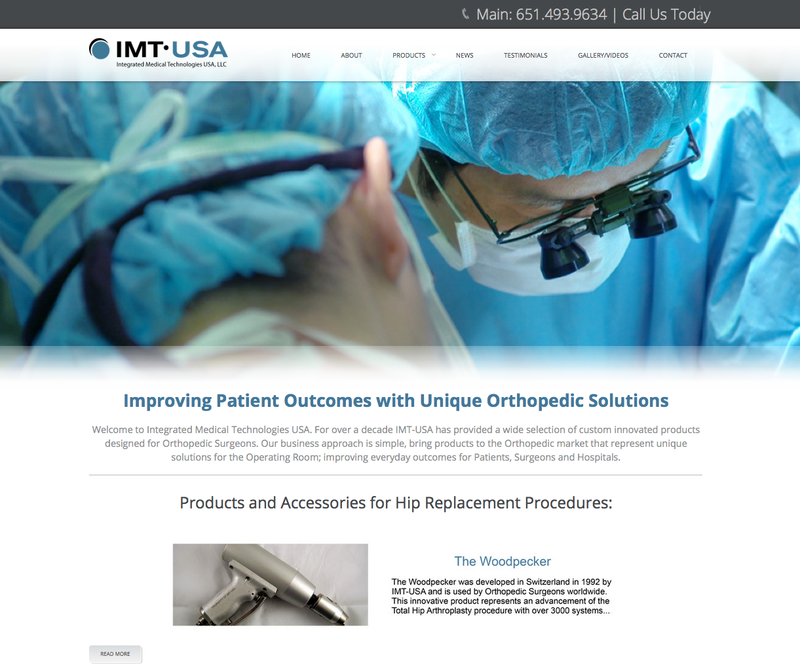 Web Site Design and Analytics – Our agency designed, programmed and produced a custom consumer web site. 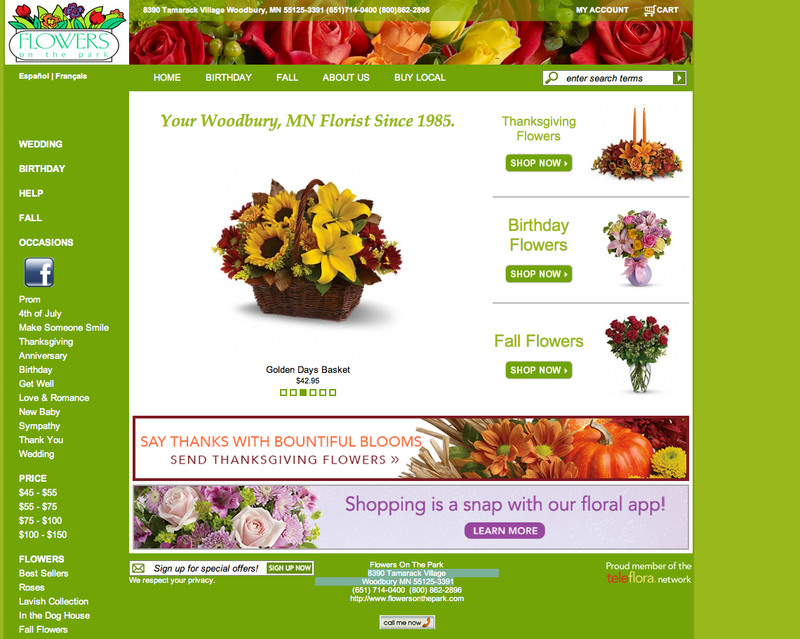 This site design was programmed to allow for on-line purchasing with grocery cart and e-commerce solutions. 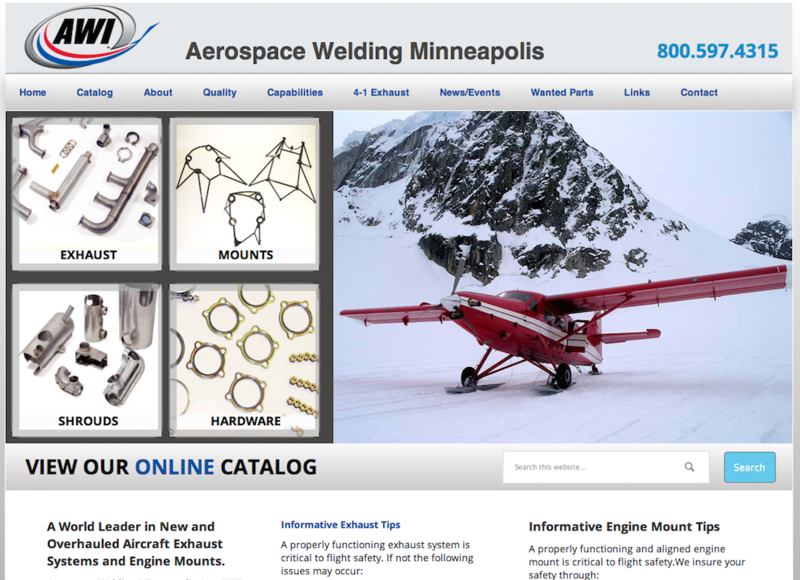 Analytics & Web Site Design – Our agency designed, programmed and produced a custom web site for Bertelson that offers tracking, analytics and functions to validate on-line actions. 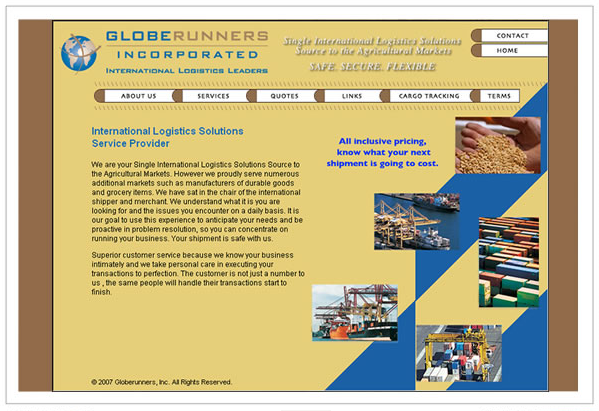 The website has many custom sections that speak specifically to their end audiences office needs. Create modern and futuristic show designs. 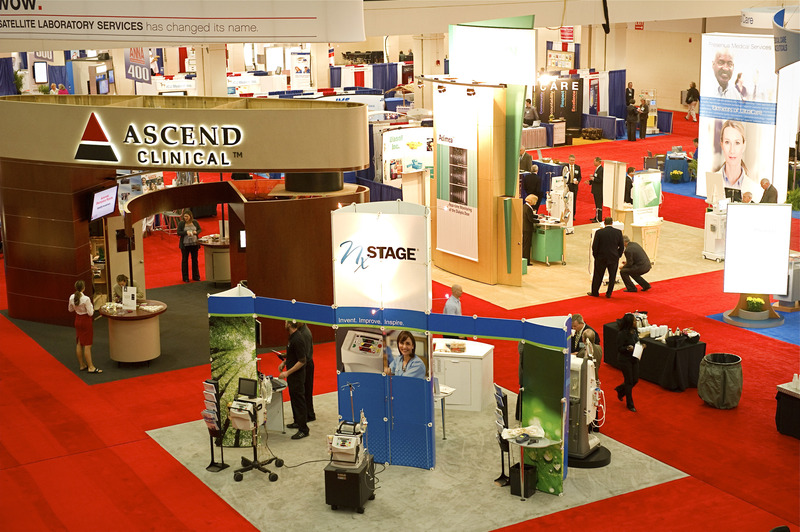 Visual environments are an amazing way to get your brand in front of your customers. 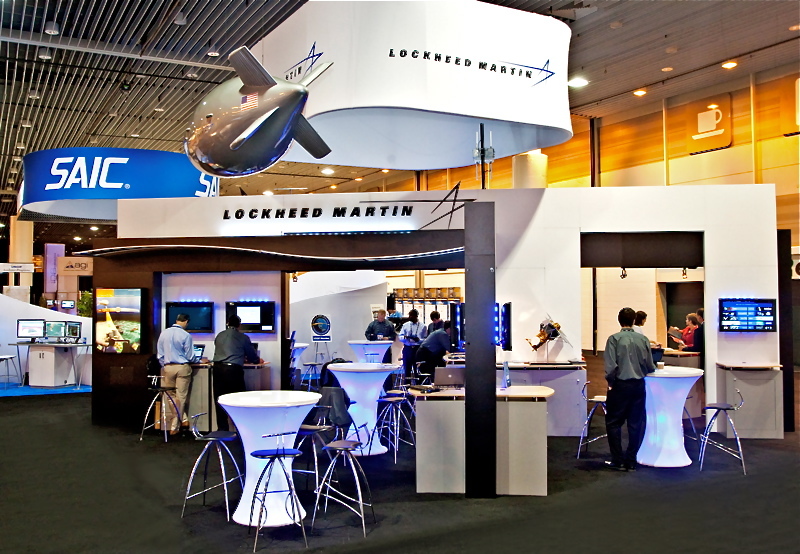 Creating trade-show displays and visuals all integrated with digital data screens to communicate real-time information is a key to business success. 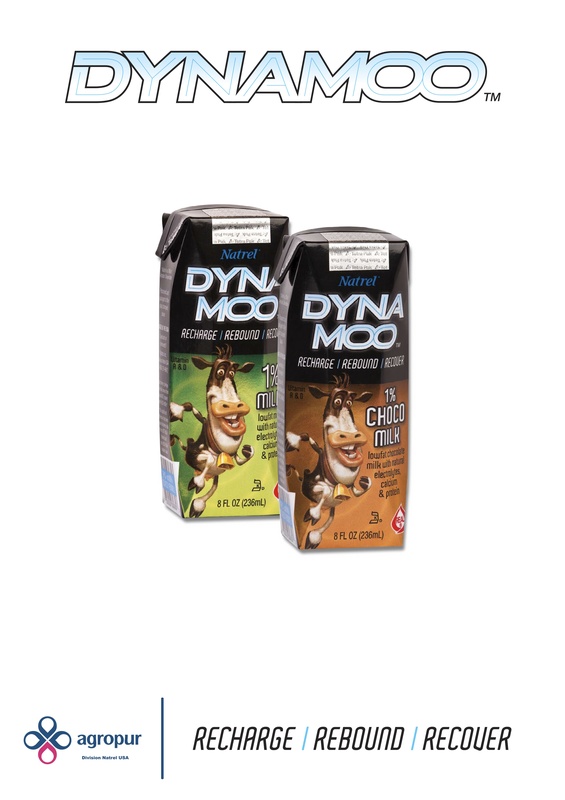 Created and designed a revolutionary campaign focusing on grass fed cattle for the eco-friendly consumer. 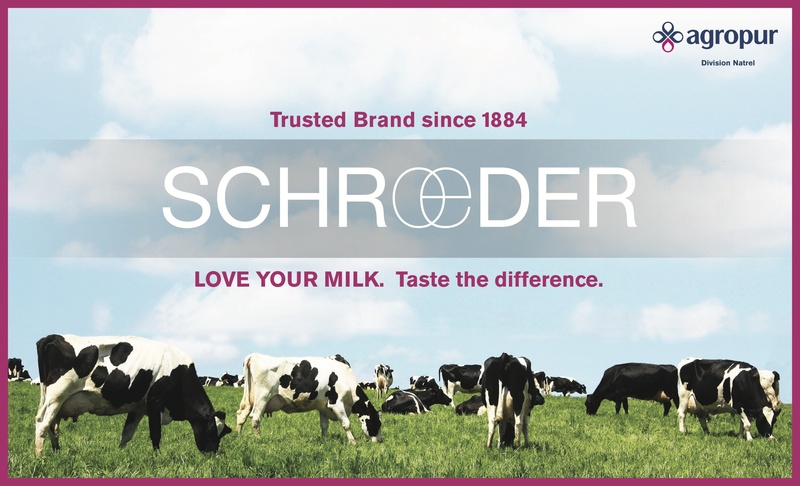 This campaign focused on print posters and is one of the first marketing efforts to introduce shelf stable milk products to the USA. 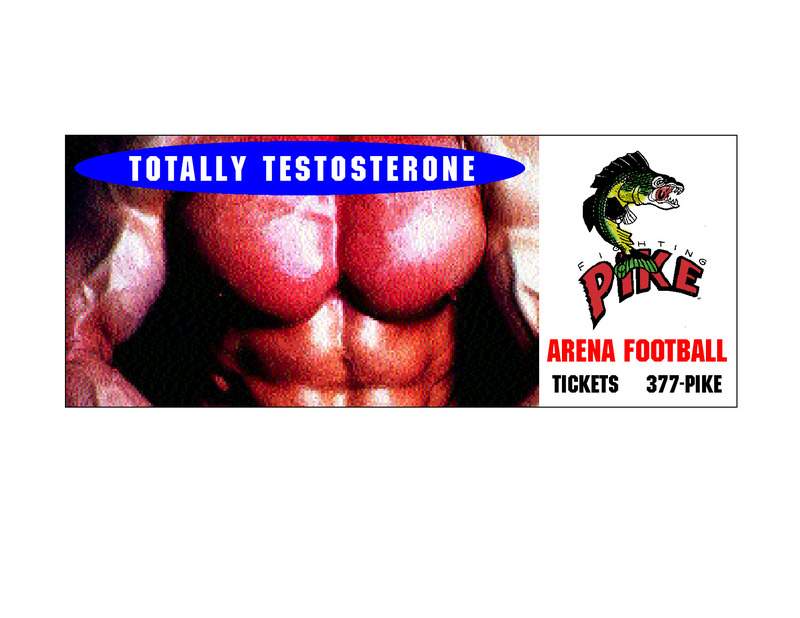 These poster images were placed in strategic locations in major baseball stadiums. 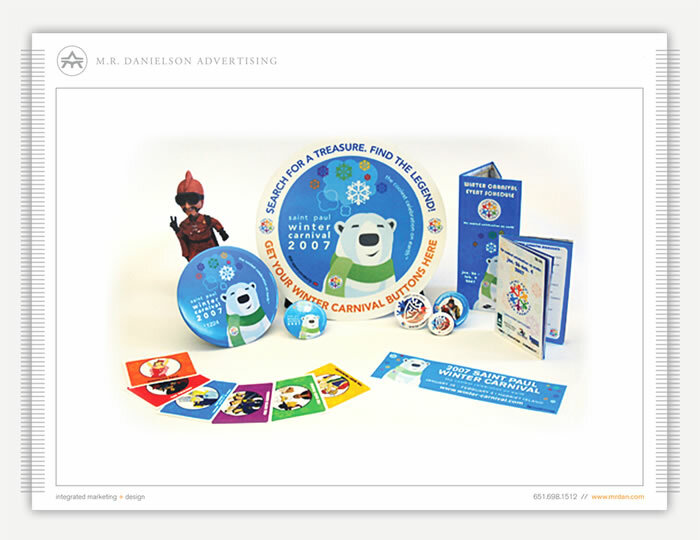 Our agency created a unique brochure for the covers of Dunwoody’s destination 2020 print programs. 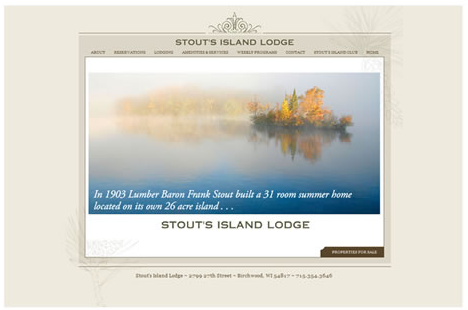 All graphic elements were digitally created and integrated with local vibrant photographs. 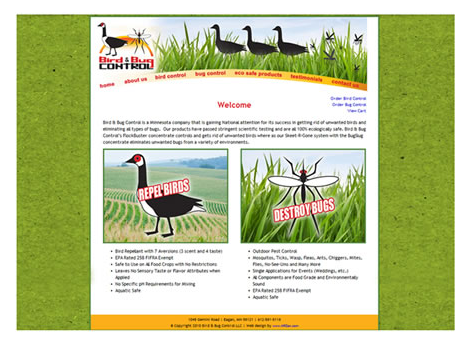 Designed a Graphic design that represented the brand to large crop farming. 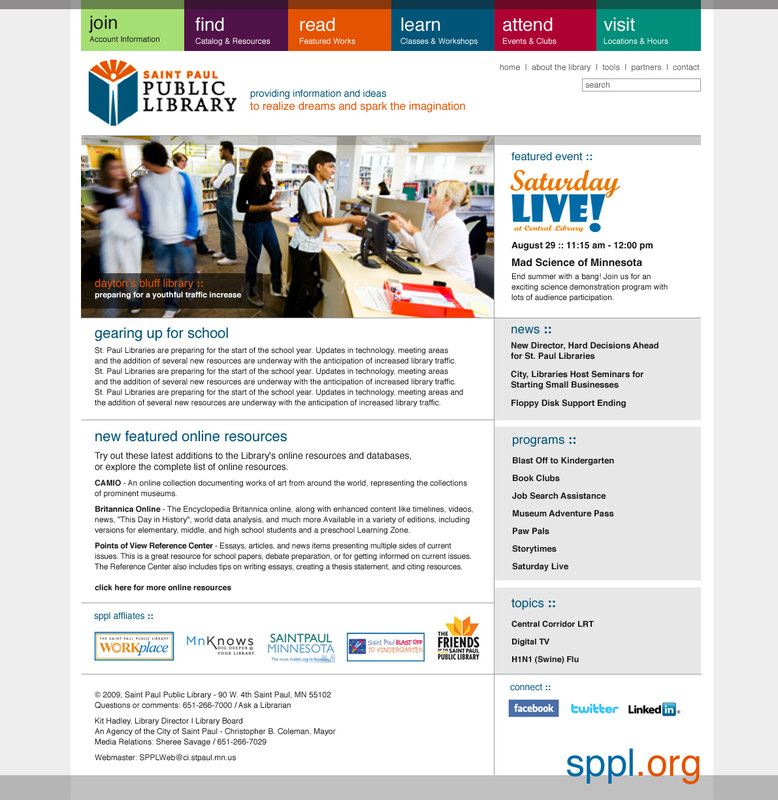 Symbol was used on website, brochures, packages, and social media platforms. 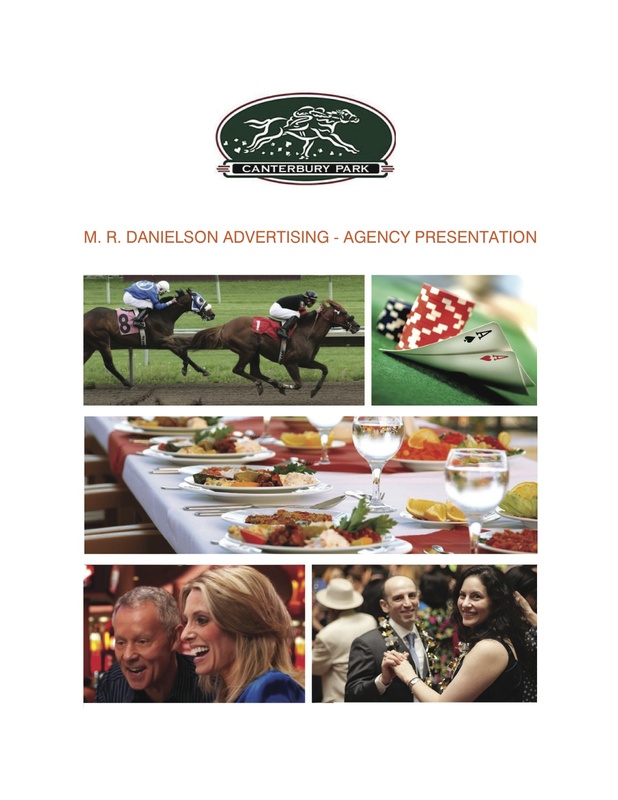 Print Campaign – Designed and developed a branding strategy for Canterbury Park that implemented a unique integrated marketing & design campaign. 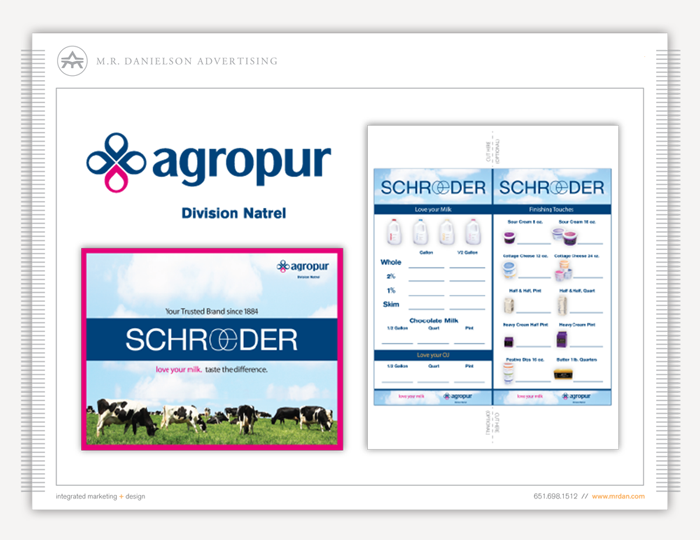 Print Campaigns – Our creative agency was hired Paradysz a leading technology and software company who provides market-leading audience development, digital marketing and marketing analytics products. 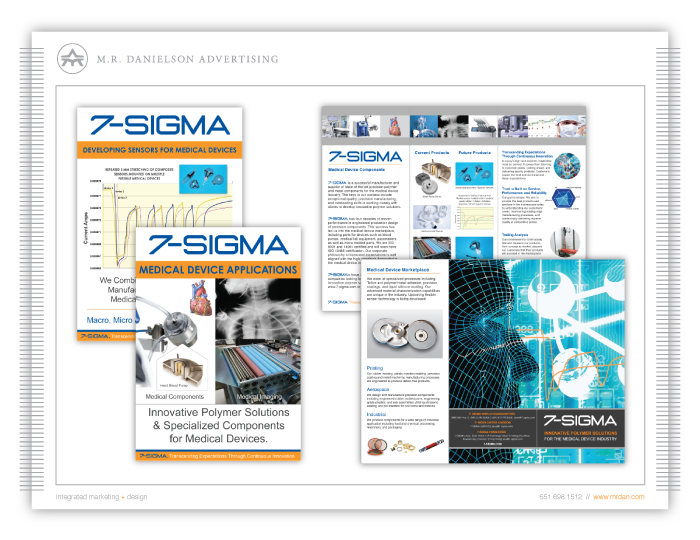 Our designers and marketers produced a new brand identity with a series of posters, advertisements, brochures and packaging concepts for this pioneering company. 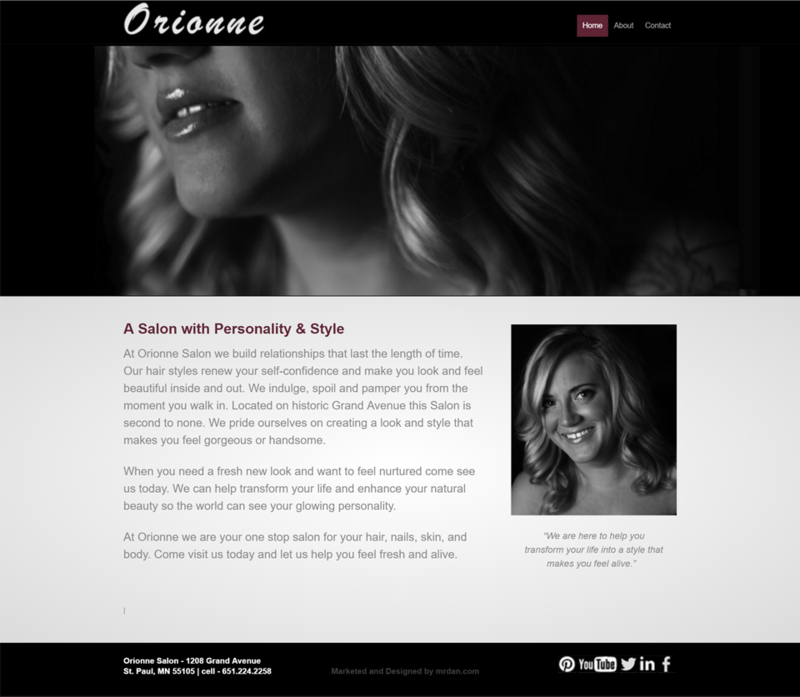 Corporate Identity – Created an array of business cards for Orionne Salon an up and coming salon in the twin cities. 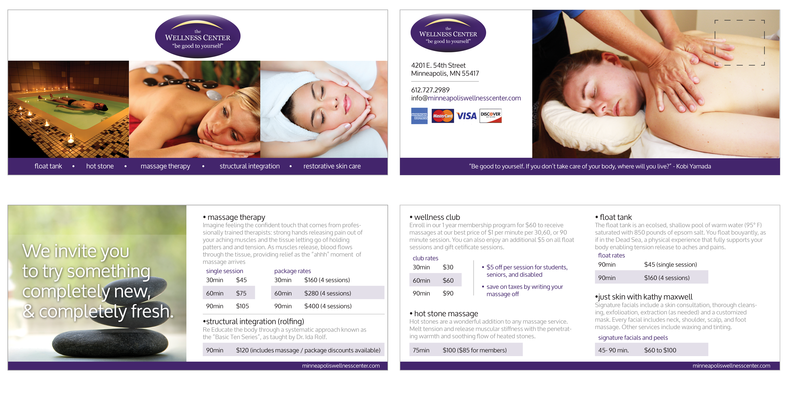 These cards were printed using metallic inks and two sided printing. 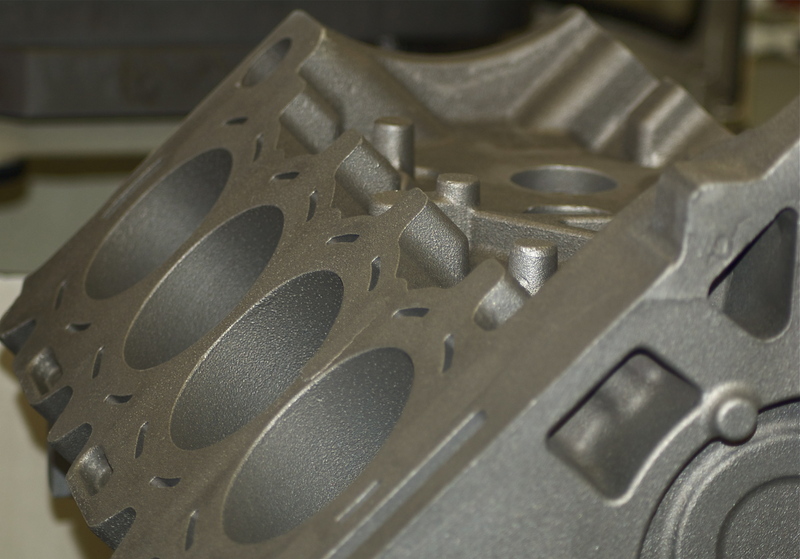 Photograph of an engine used for an annual report cover and brochures. 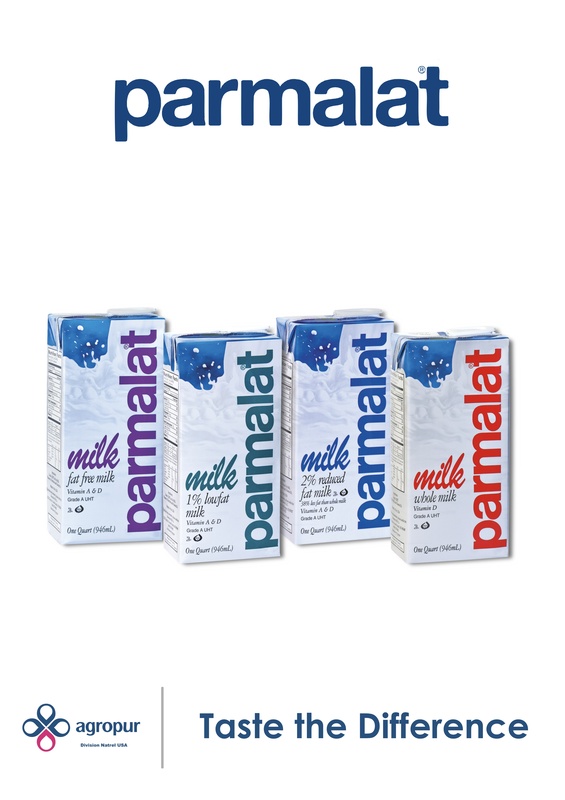 Agropur Photography – Parmalat Milk products shot in agency studio. 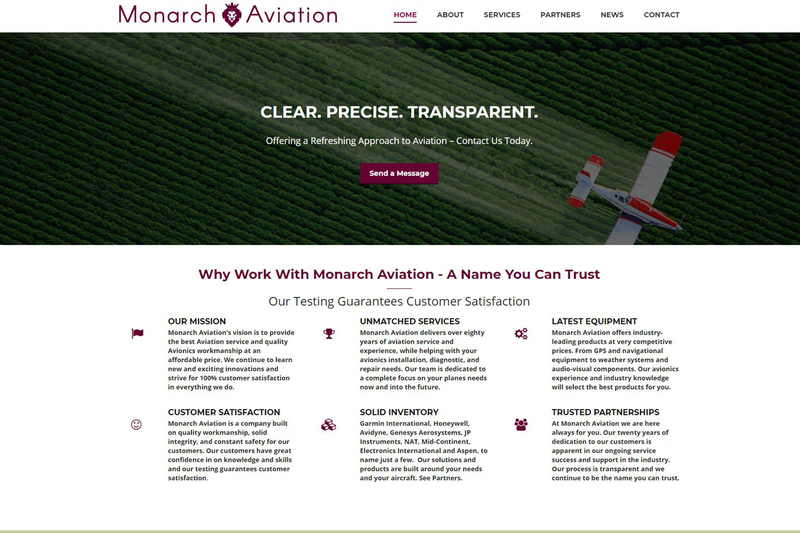 White background creates the clean brand we were looking for. 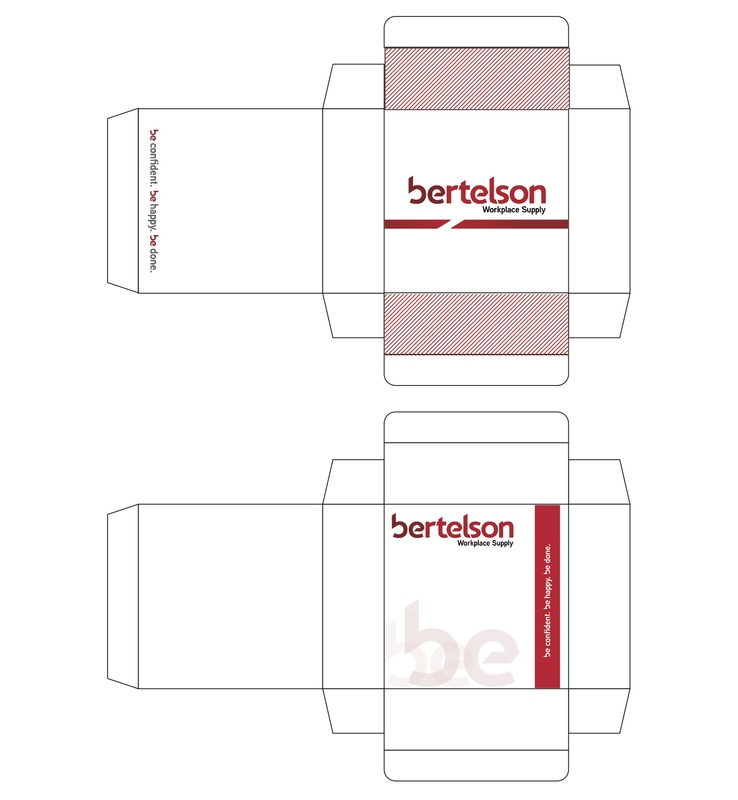 Package Design – Created and designed a container for Bertelson Office Supplies with printed graphics to send out the annual office catalogs. 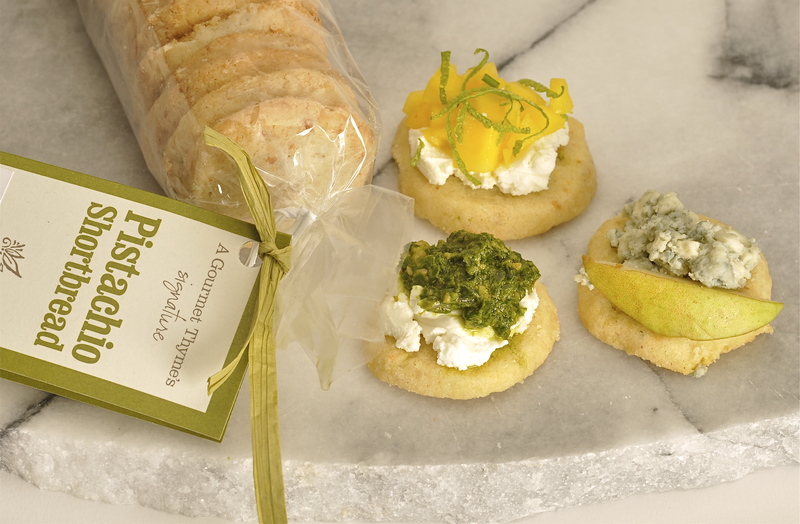 These package designs were branded to define our simple and clean identity system. 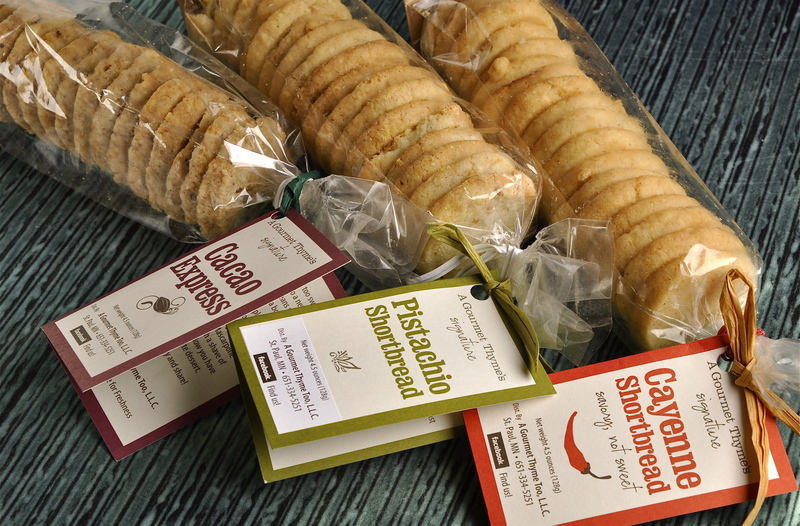 Package Design – Created and designed a unique marketing package for Interlink Communications that contained a mouse pad and digital media presentation. 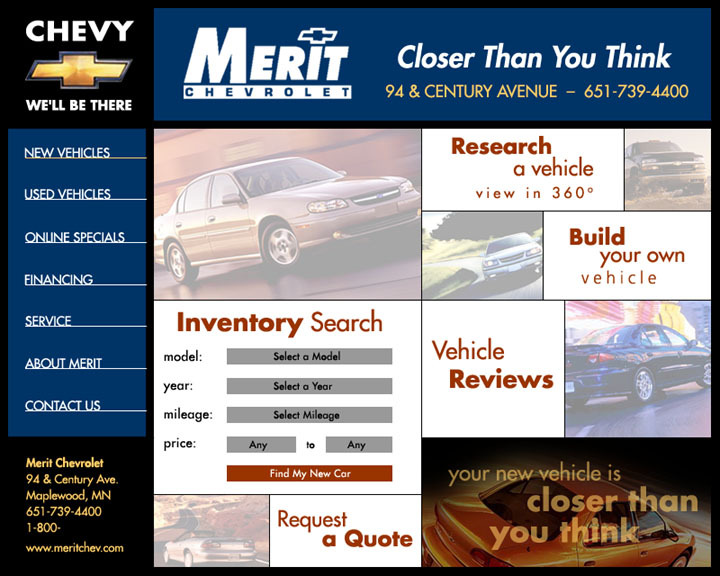 This campaign was mailed out to a strategic list of clients who performed an on-line survey on the website to qualify them as prospective buyers of the services they offer. 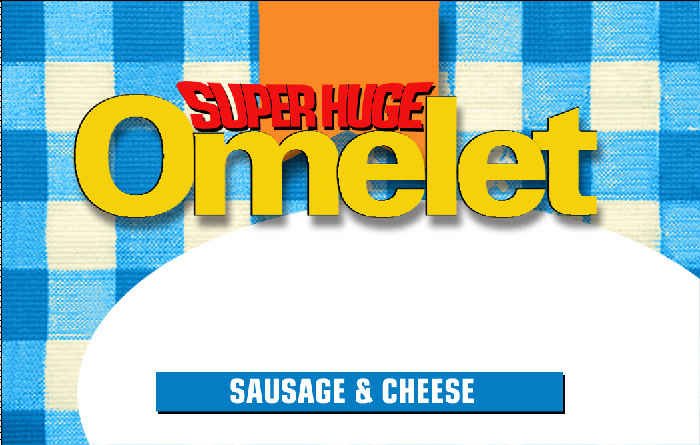 Created concepts and designs a variety of color coded microwaveable omelet package designs. 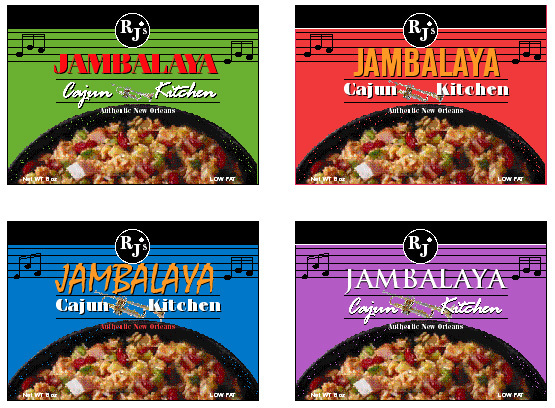 Created and designed a variety of concepts for a complete line of Jumbalaya microwave products. 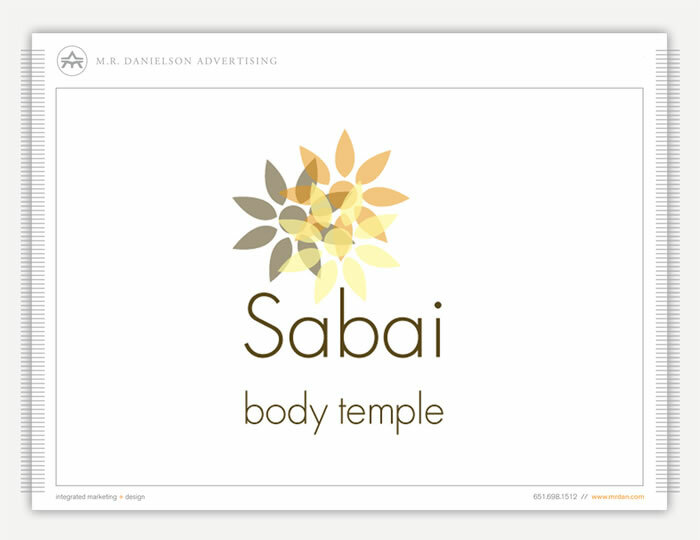 Created a soft, elegant and clean brand identity for a complete line of luxurious bath supplies. 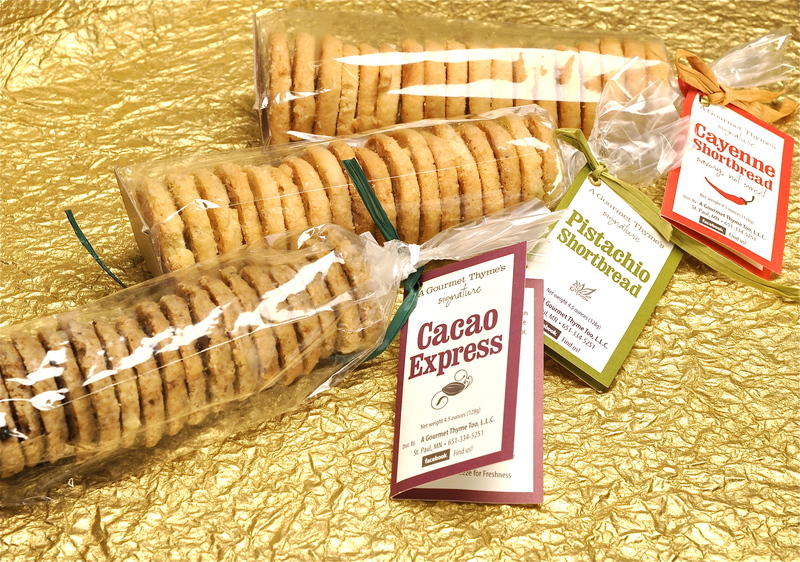 Designed and developed a brand of consumer packaging for a line of short breads. 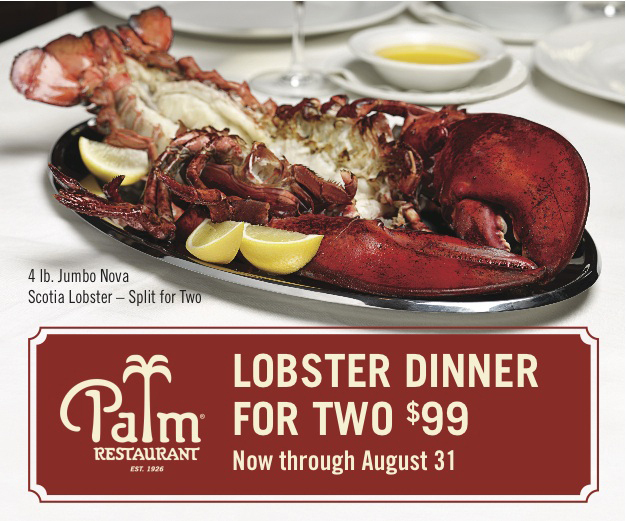 Created an Awesome outdoor media campaign that increased attendance. 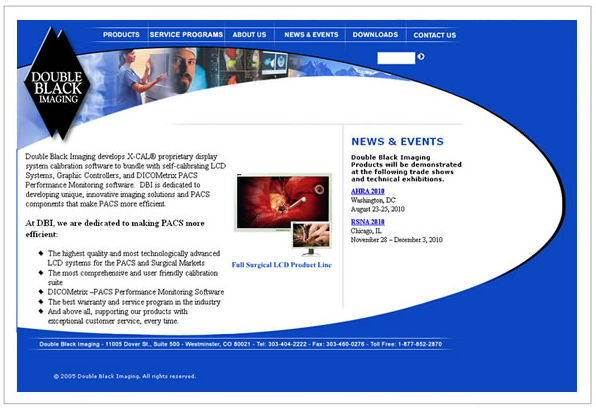 A progressive monthly digital signage system pushed live action video images. 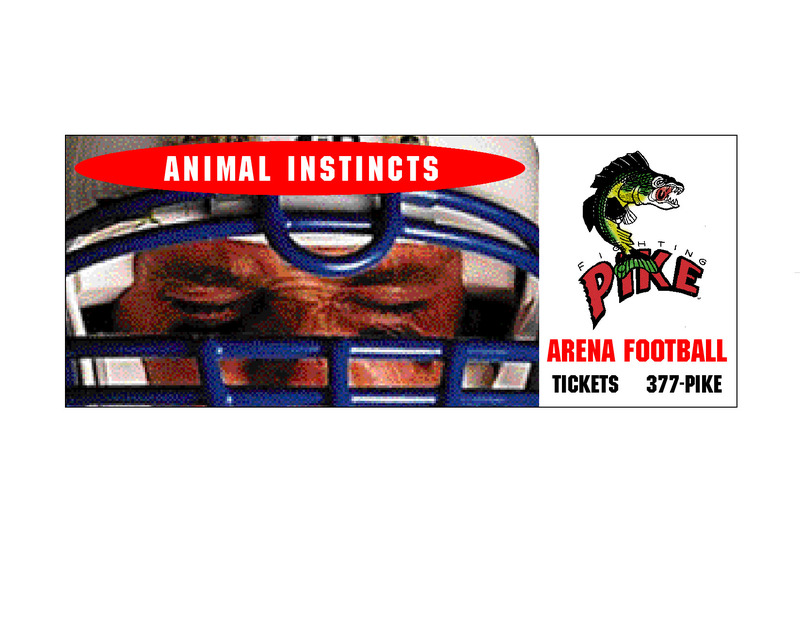 Creative brand identity for arena football with Action in your face. 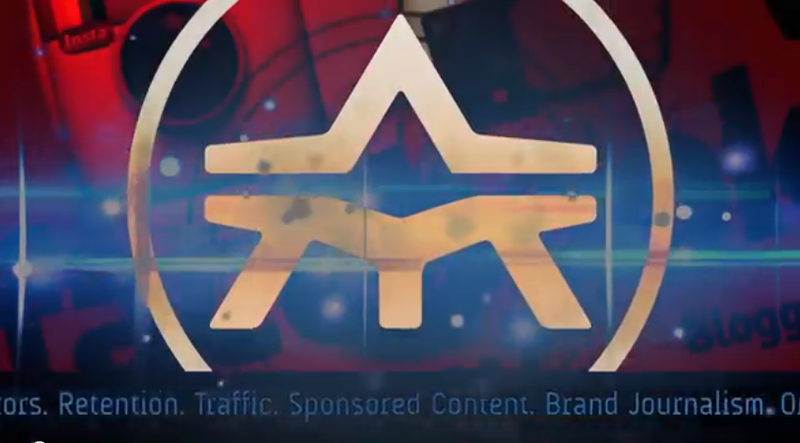 These digital boards were placed strategically around the arenas hot-spots and highways were target market traffic was defined through our agency marketing matrix. 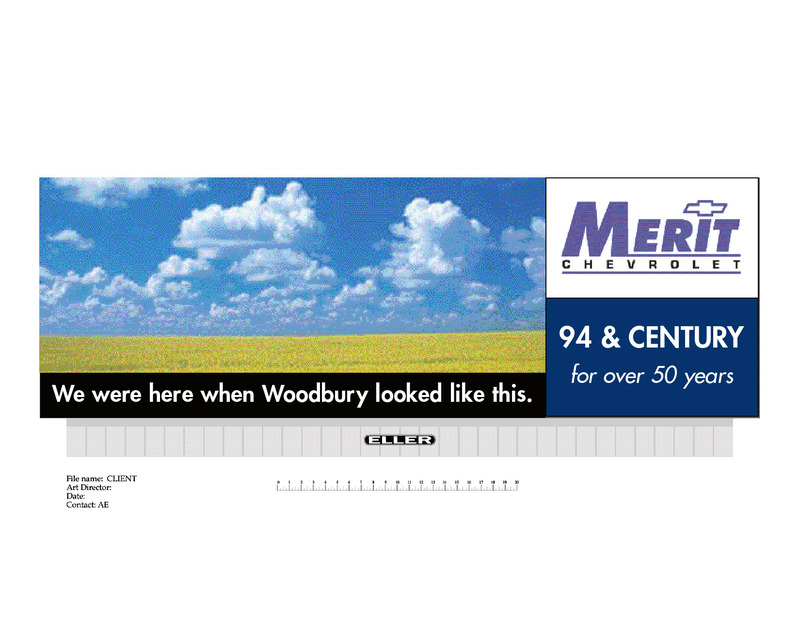 Outdoor Media – Created an effective campaign for Interlink Communications. 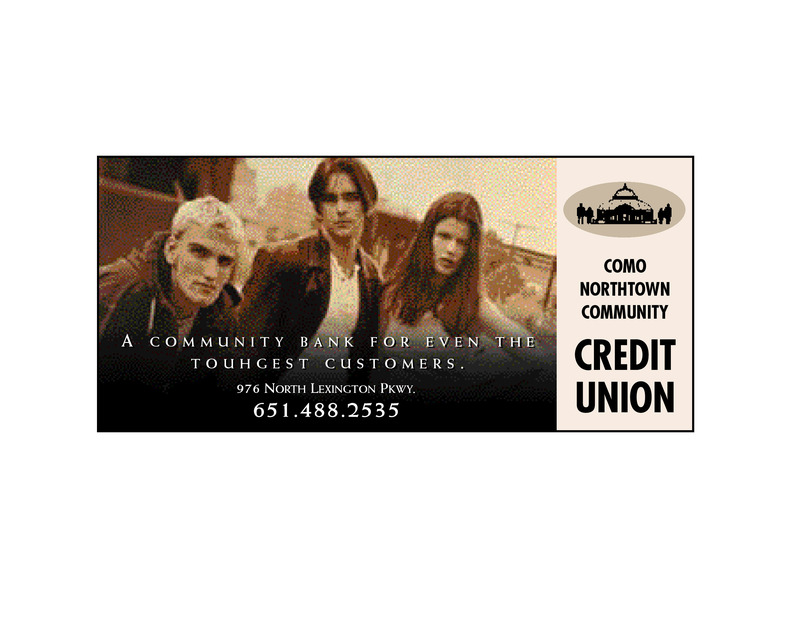 Designed billboards that presented unique selling strategy with a amazing images that caught the eye of our audience in strategic rural areas. This brand was in your FACE! 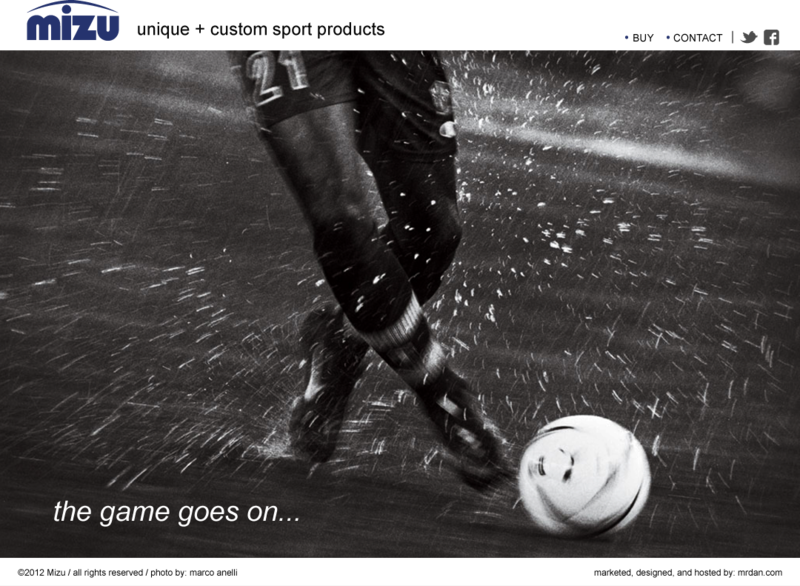 Strong graphics hit the digital screens in graphic sequences. 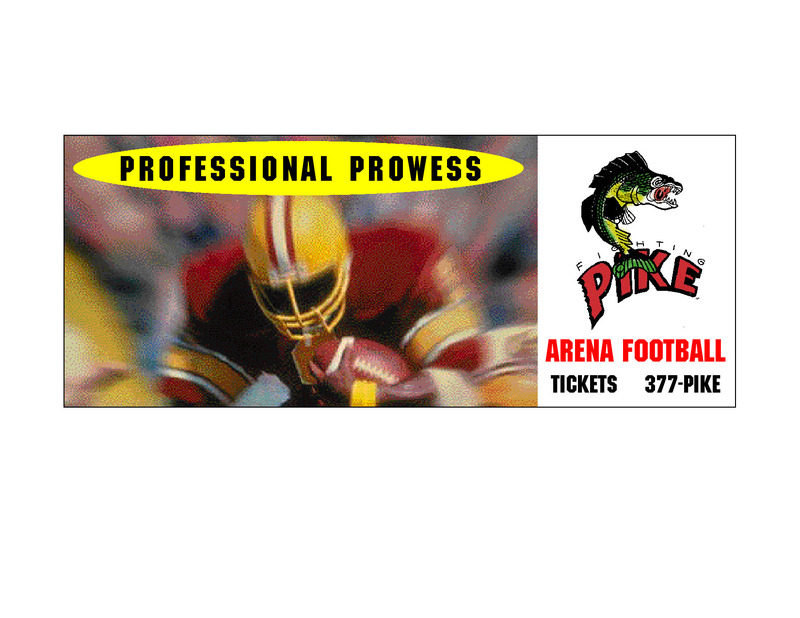 This campaign created a social BUZZ with a 22% increase in season attendance. 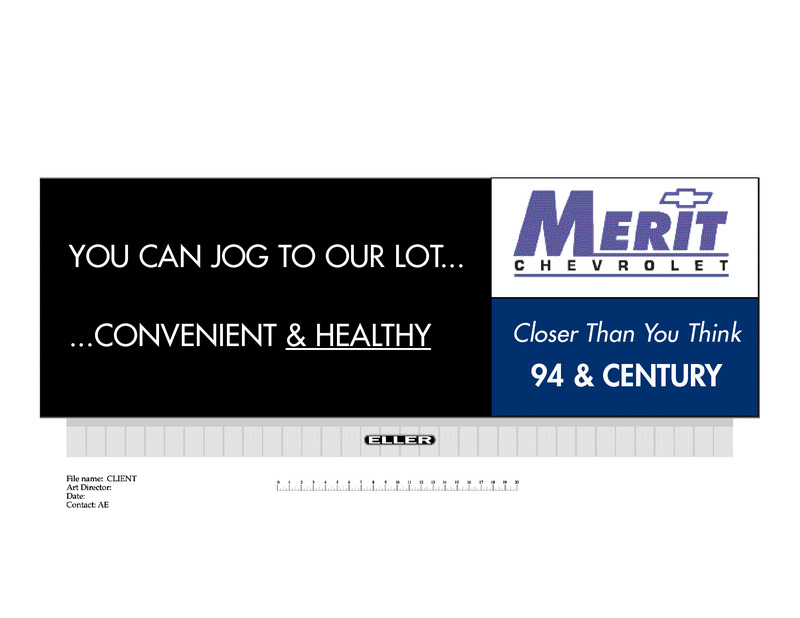 Created and designed a Stark billboard that focused on the neighborhood park and trail system for a healthy walk to the dealership. 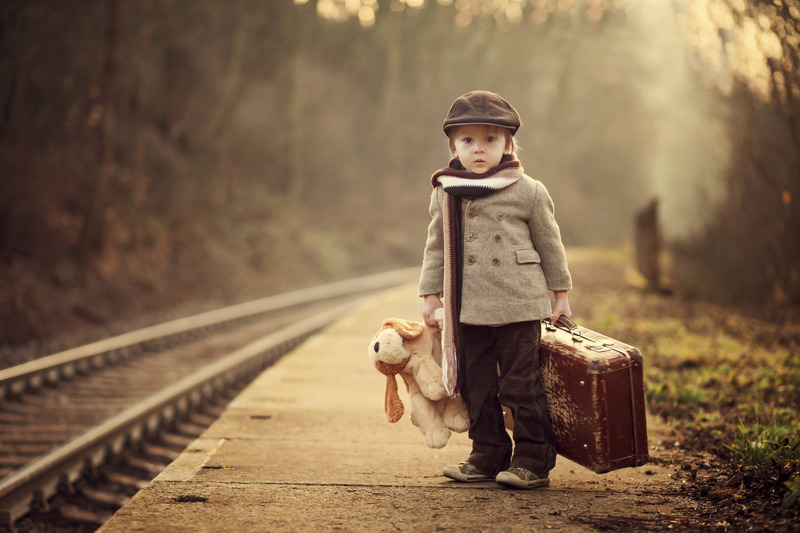 Increased sales comes from neighbors and family loyalty in targeted travel zones. 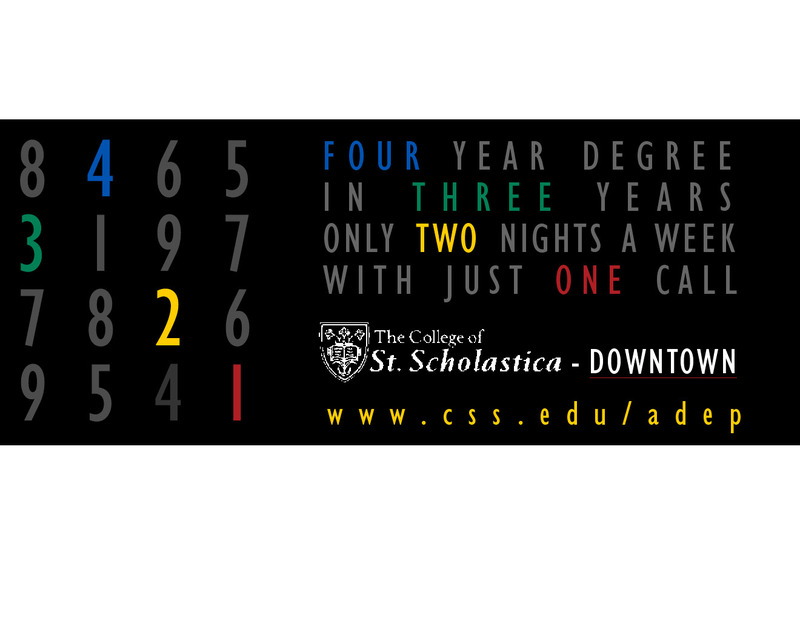 Designed an outside billboard campaign in strategic selected areas. 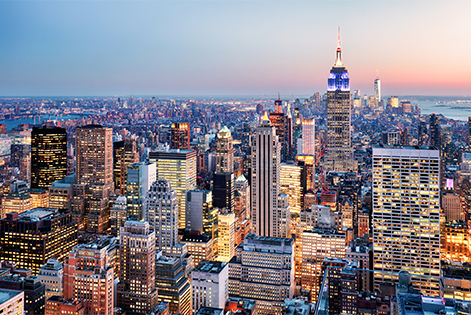 A social media campaign determined the matrix for targeted hotspots. 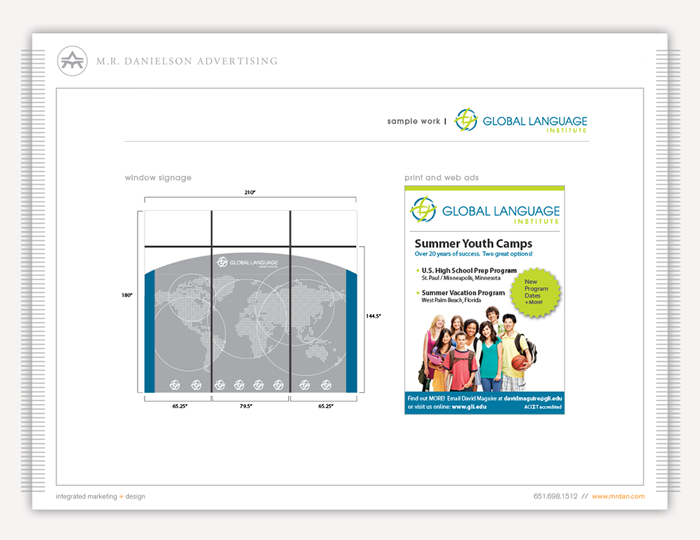 Outdoor Media – Created and designed a billboard to promote the Gleam line of whitening studios. The marketing strategy was to position these messages near the local neighborhoods around these stores. Weekly we would add a new and whiter overlay until the teeth were perfectly white on the model in the photograph. 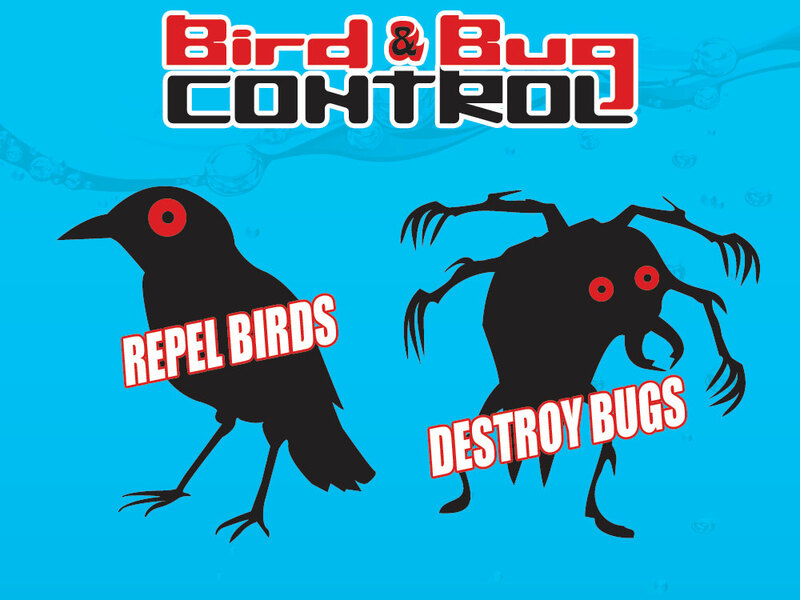 Developed a campaign targeted to a Tougher youthful crowd. 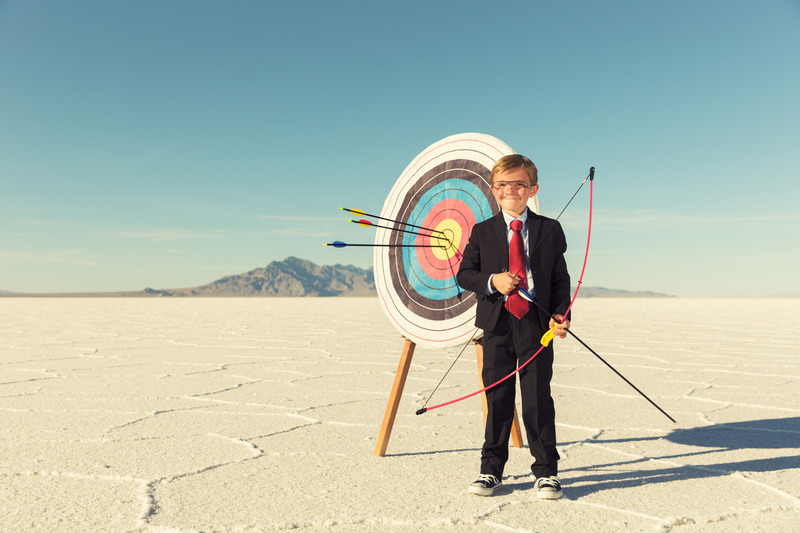 Are strategy – touch the target audience with images of making your life financially FIT!. 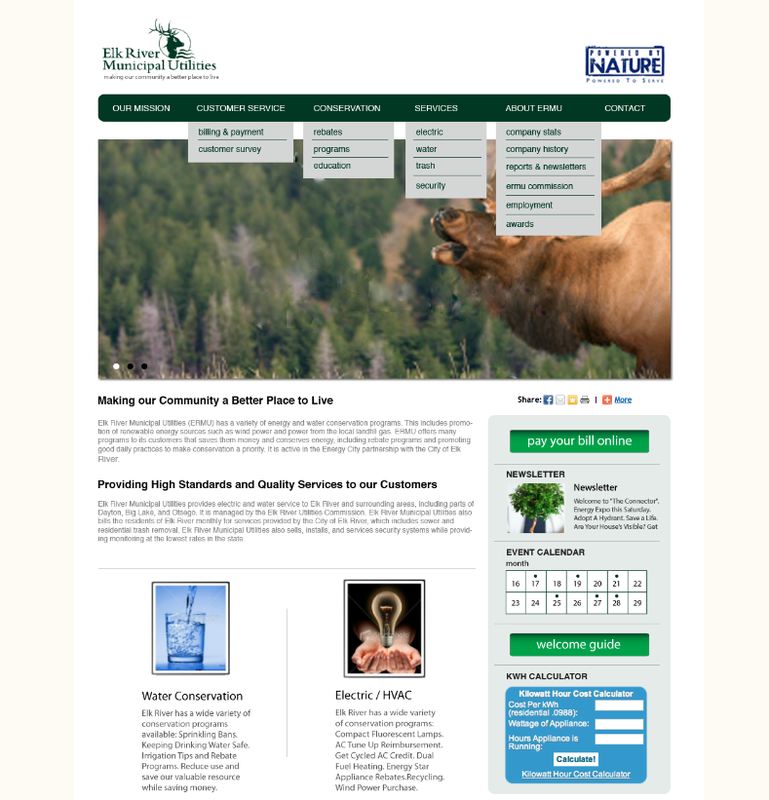 Created Exciting & Humorous boards on strategic environmental locations. 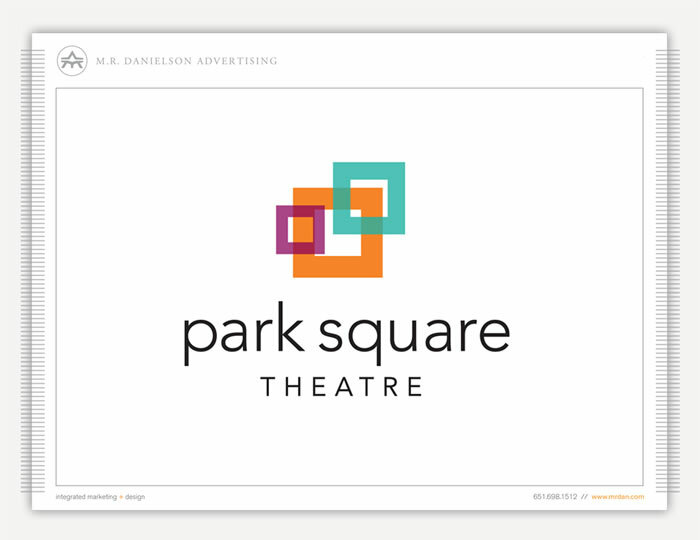 Artistic and Energetic media board would flash words and colors creating a unique Graphic presentation. 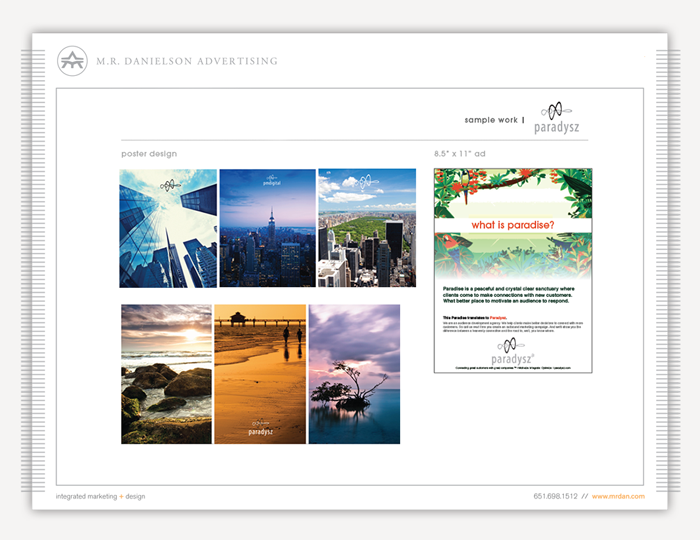 Created a unique poster sent to our clients to introduce our launch of our new integrated marketing & design services. 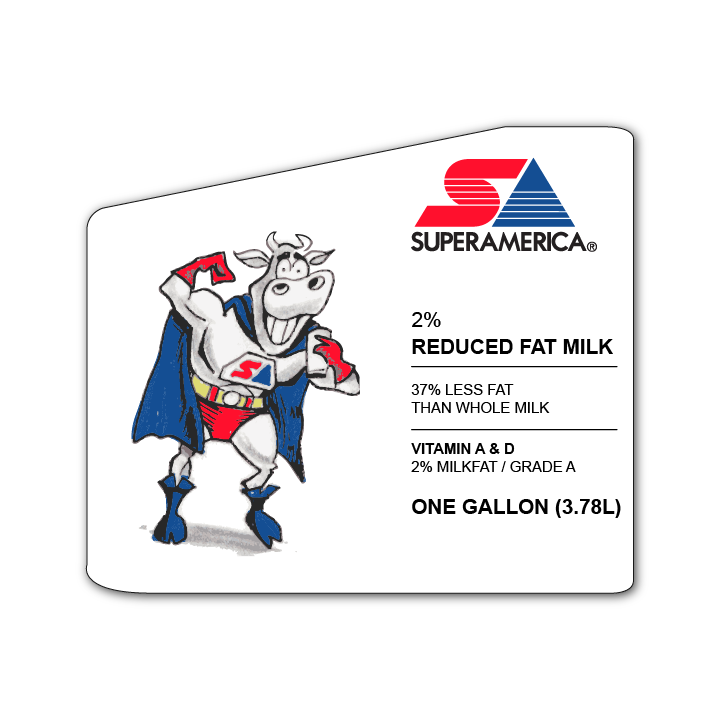 Graphic Design – Label design targeted to the SA stations for their Super Cow line of milk for families with children. 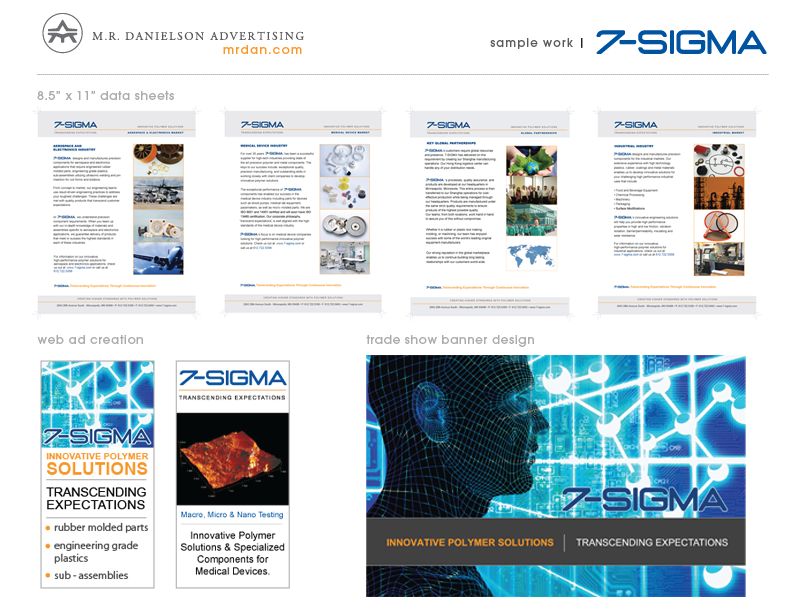 Graphic Design – Post Card Design. 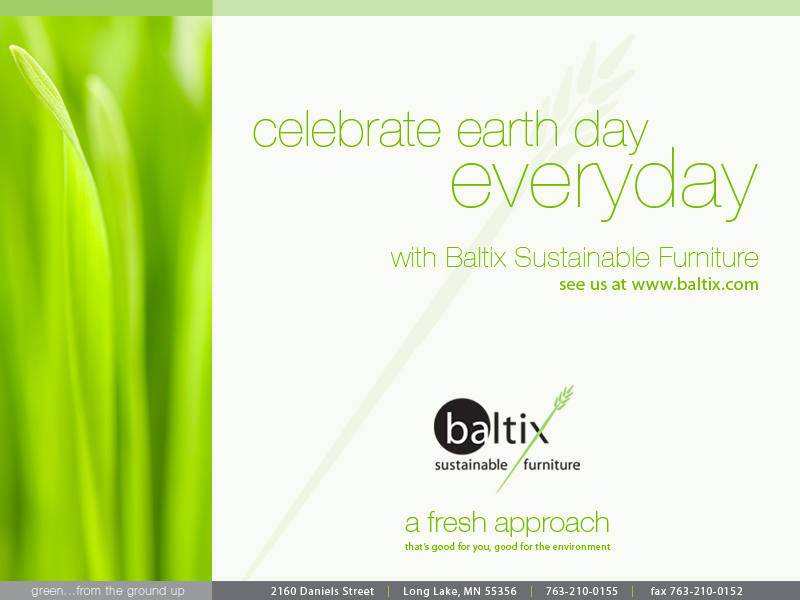 Our agency created a line of postcards for a local Edina real estate company. 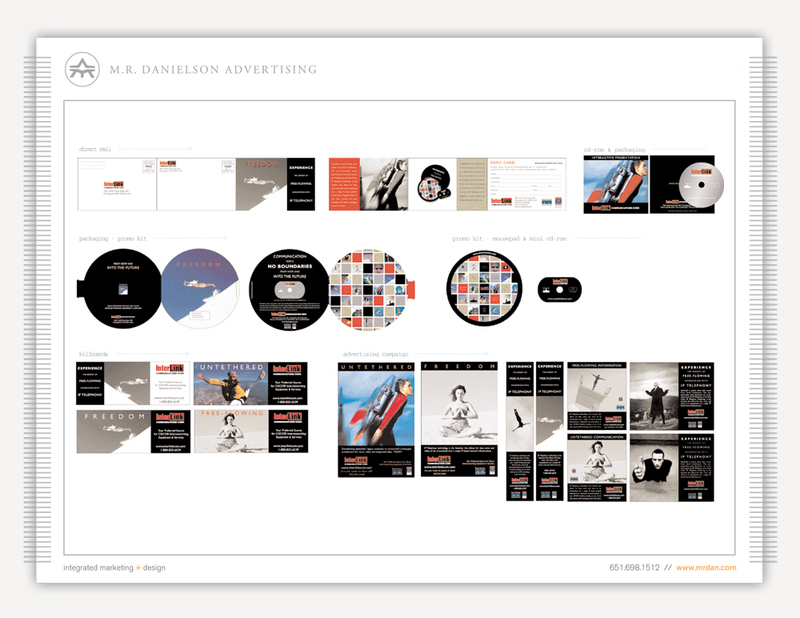 This campaign was a unique design with a color scheme of stark white and red that defined the brand. 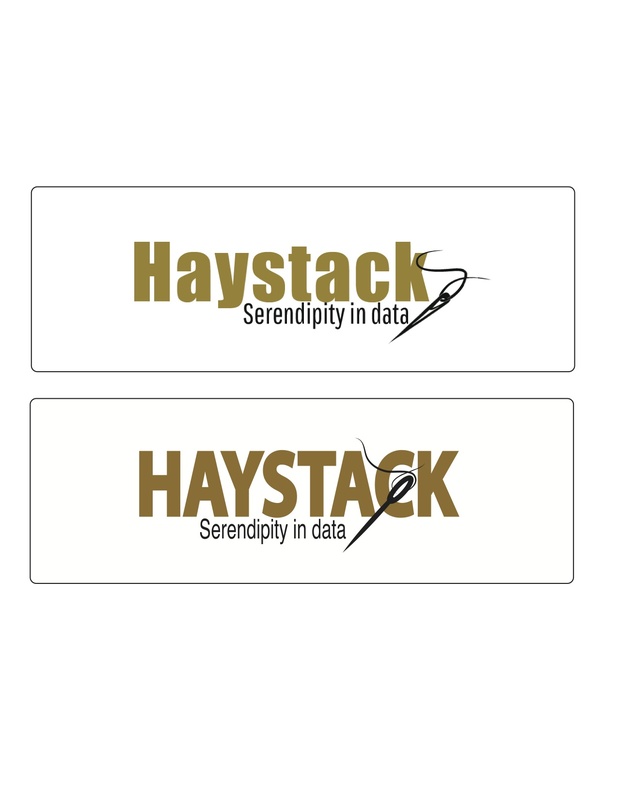 Graphic Design – Created a unique logo and letter form design for Haystack a data technology company. 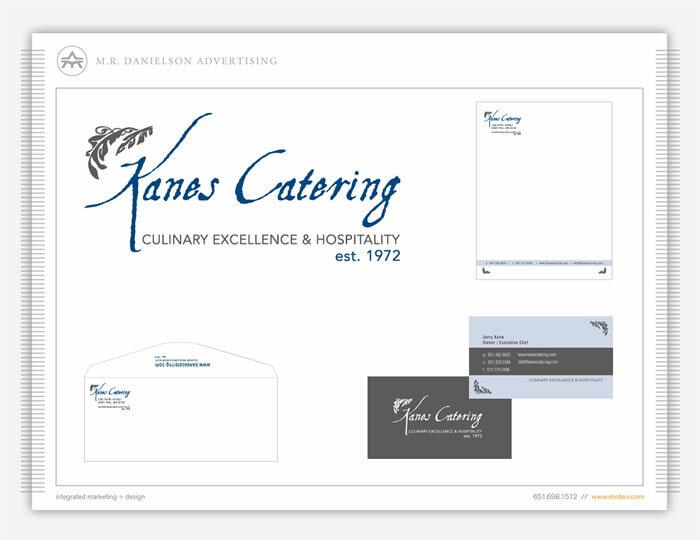 The graphic was drawn by hand and than digitally re-constructed for final details of the corporate identity. 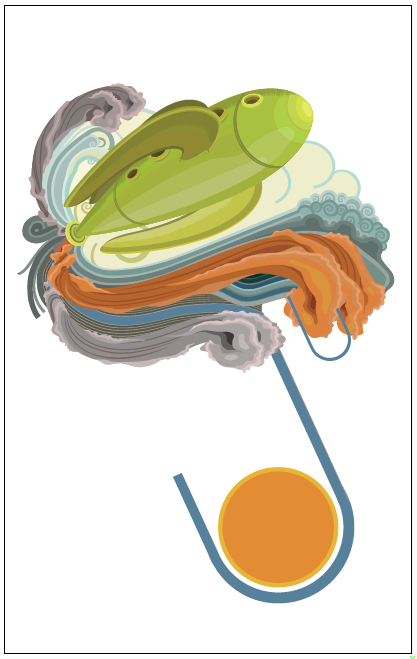 Graphic Design – Created a variety of logo design concepts for Lindquist Pilates Studio. 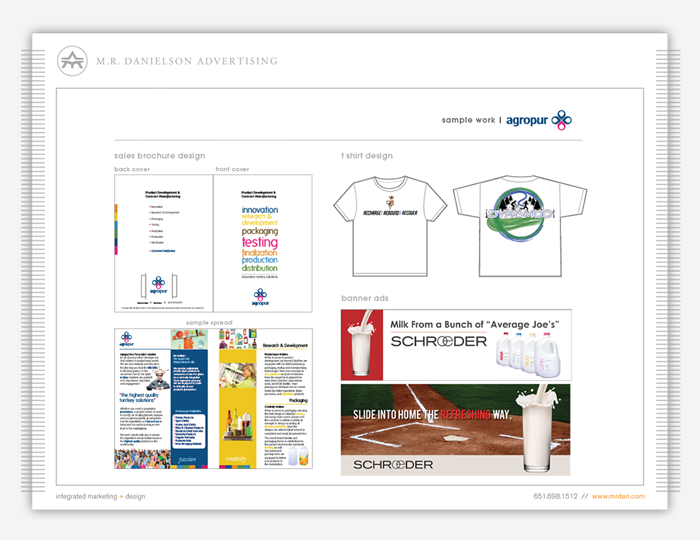 Our agency process is to present numerous designs and let the client decide what direction to go. 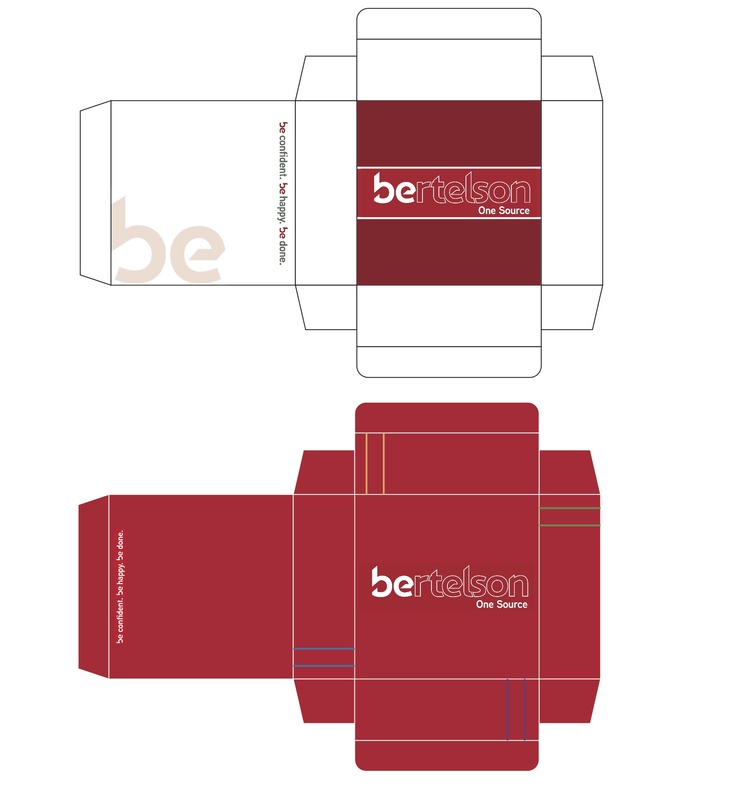 Graphic Design – Slogan and Letterform designed for Bertelson Office Supplies. 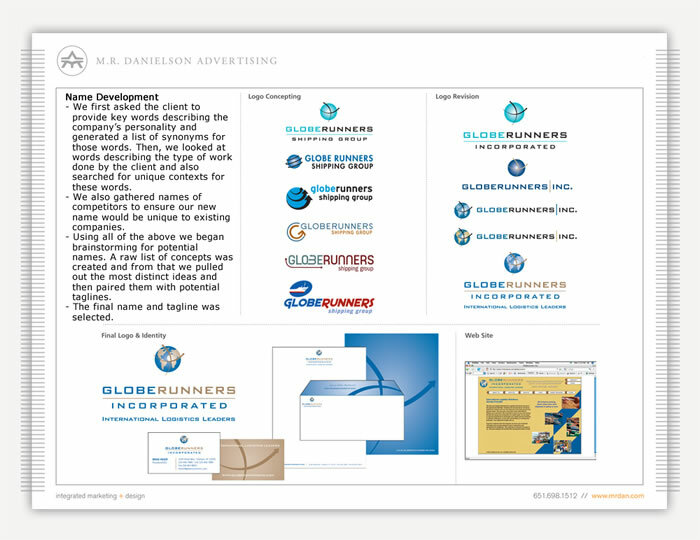 The brand identity is used through out the company wide campaign. 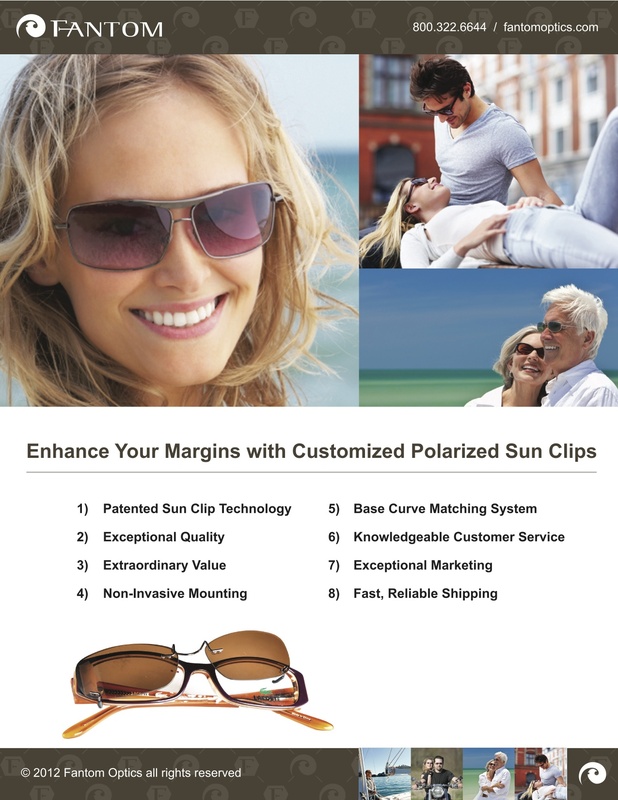 Included on print, packaging, website, print materials, and all other novelty items. 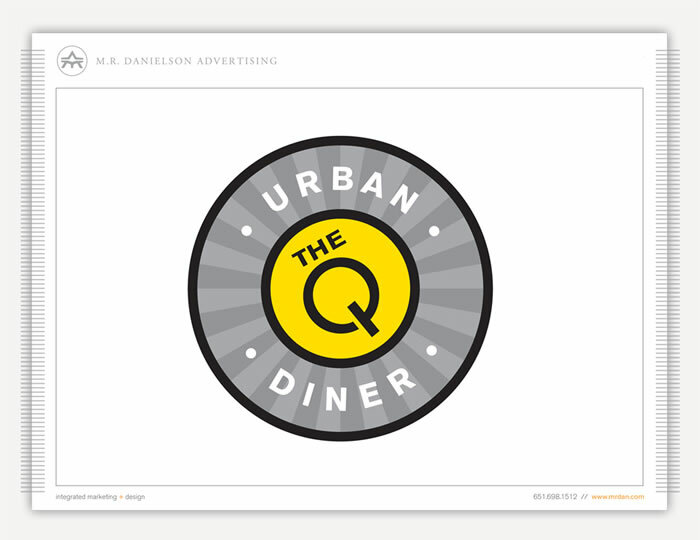 Agency created a series of unique brand icons for a website environment. 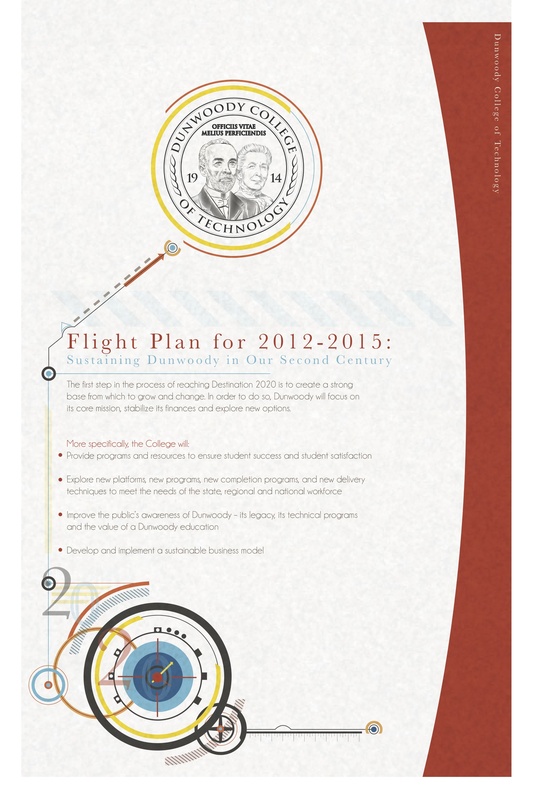 These digital illustrations formed a series that was used to navigate through an on-line website environment. 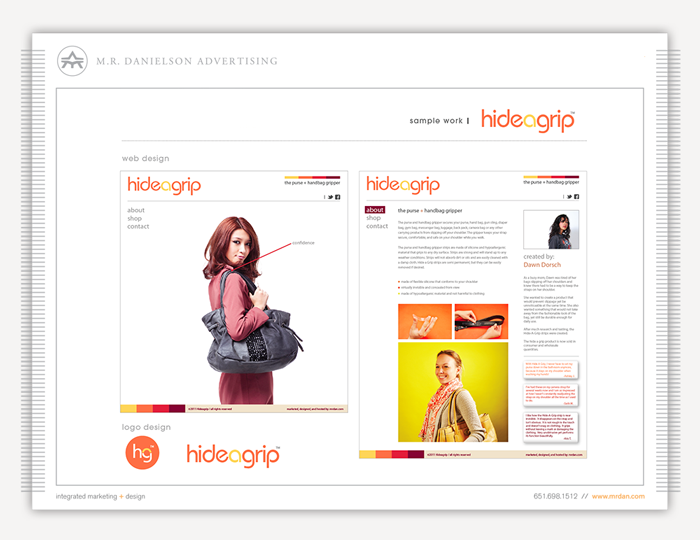 A color scheme was dictated by the brand strategy we developed in the design systems plan. 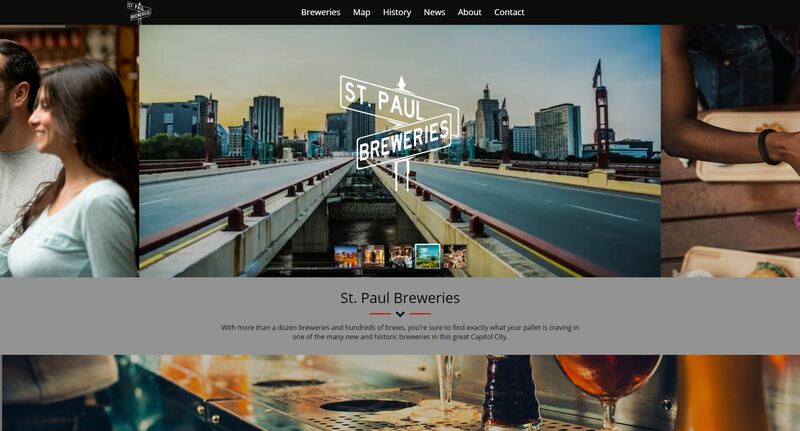 Graphic Design – Icon Creation for the city of St. Paul. 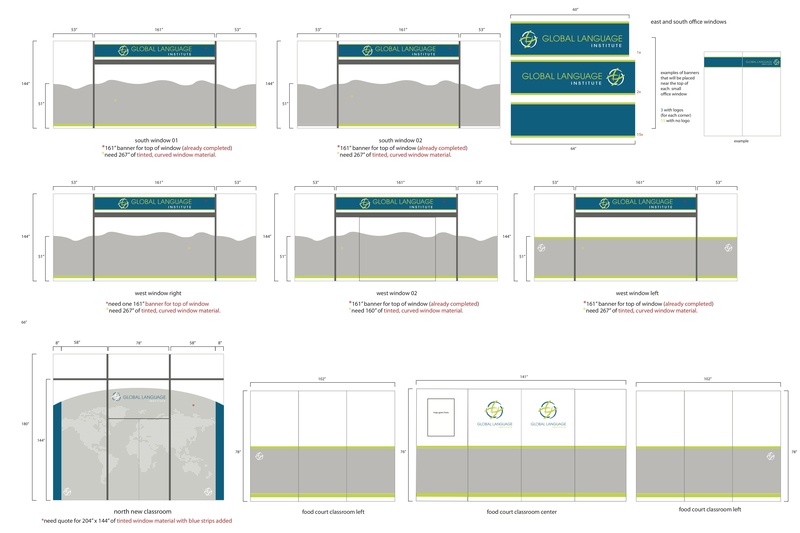 Our agency was asked to do the graphic icons and help design a GPS citywide tracking system. 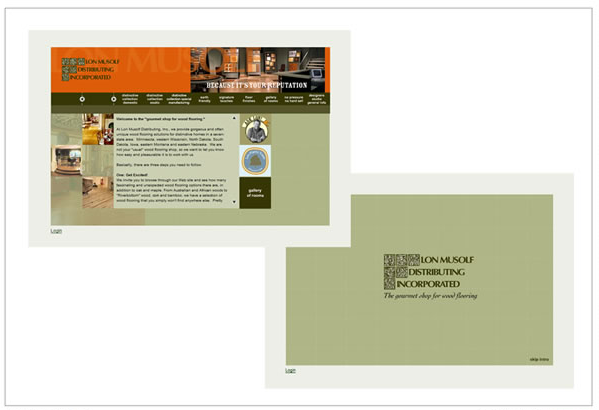 The icons were to represent and symbolize the tools that were used to navigate through the online website environment. 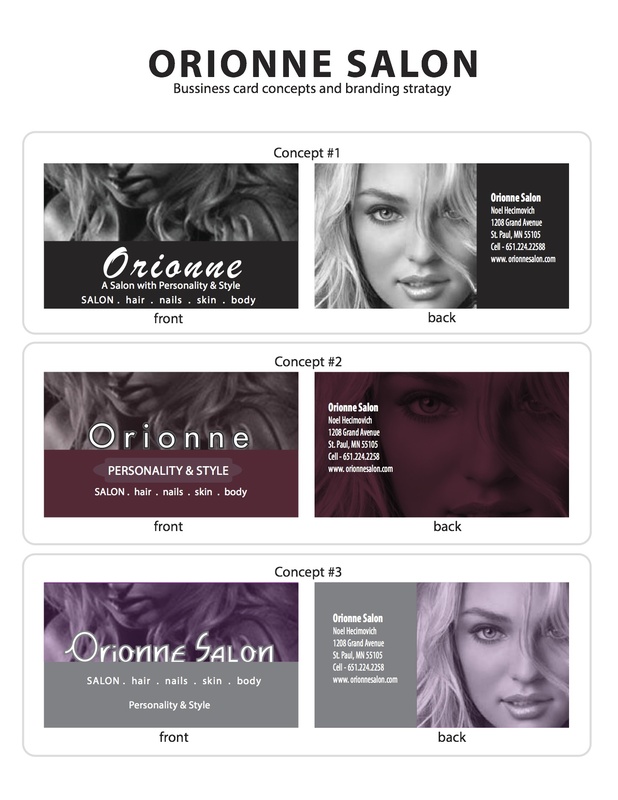 Graphic Design – Created, designed and printed these order forms for Fantom Optics mailing inserts to prospective clients. 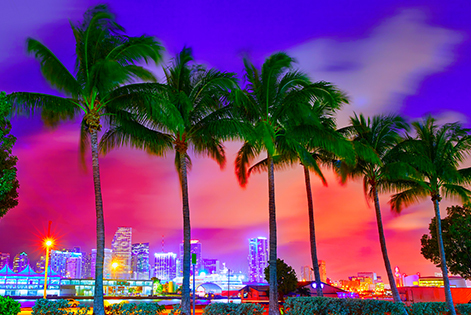 Photographed the light and mood of the postcard mailer. for final digital design. Our agency created a unique graphic design for the covers of Dunwoody’s destination 2020 print programs. 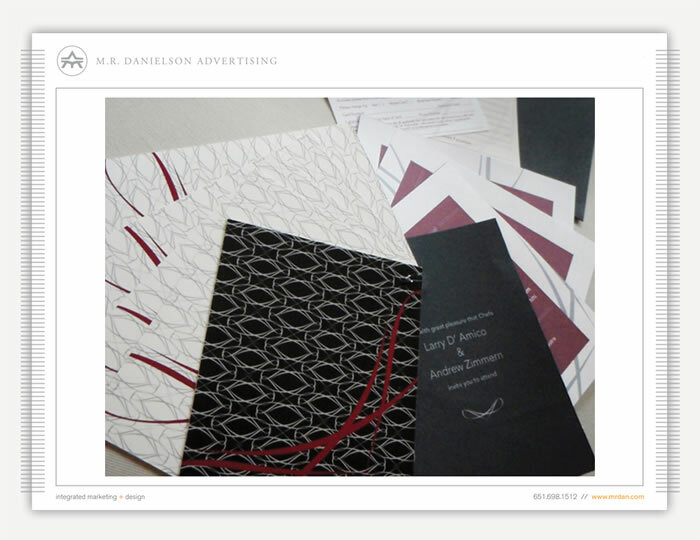 All graphic elements were digitally created using illustration and typographic design systems. 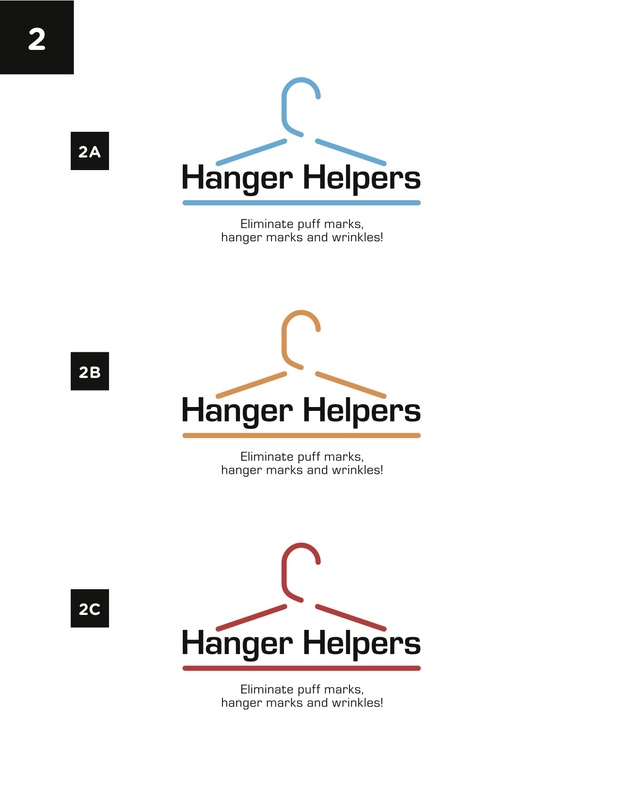 Our agency created a marketing plan that presented a logo design for Hanger Helper. 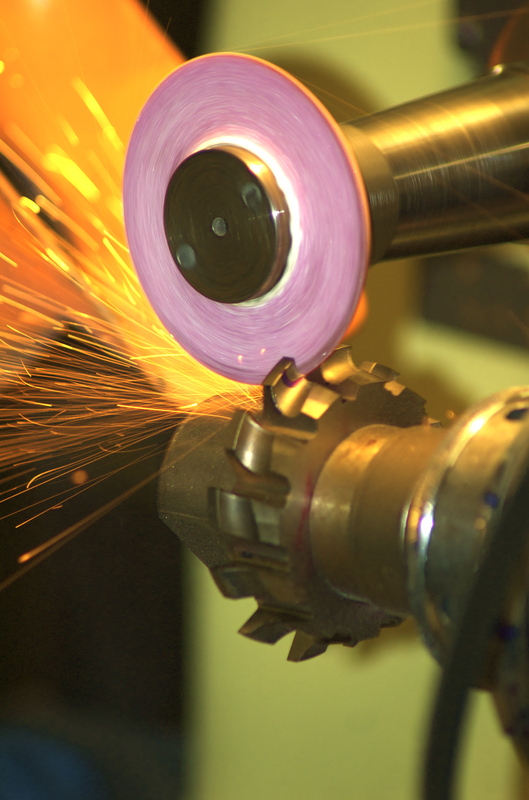 Our agency process is to deliver a variety of options to our clients for their final selection. 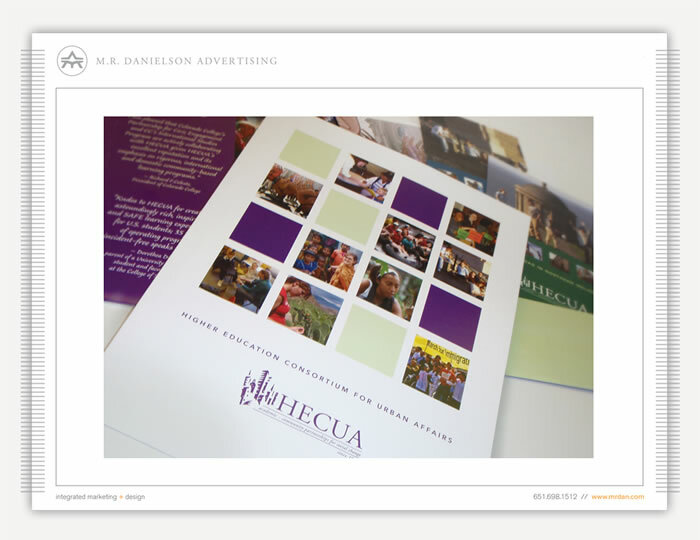 The logo was selected and implemented on their packaging, website, print, and digital media. 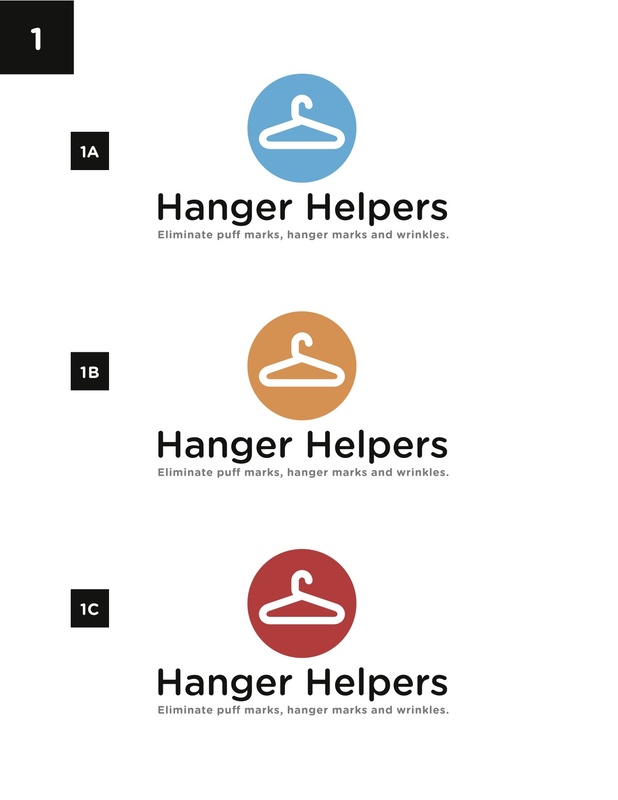 Our agency created a marketing plan that presented a unique letter form and logo design for Hanger Helper. 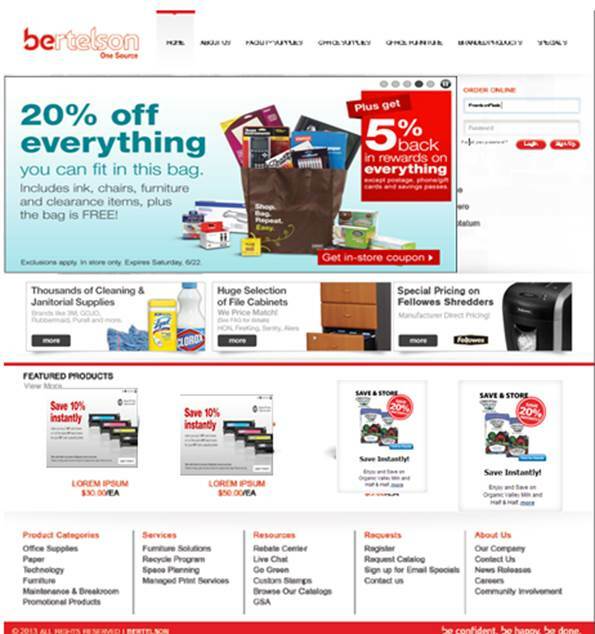 This unique symbol collection helped define the packaging brand and on-line sales. 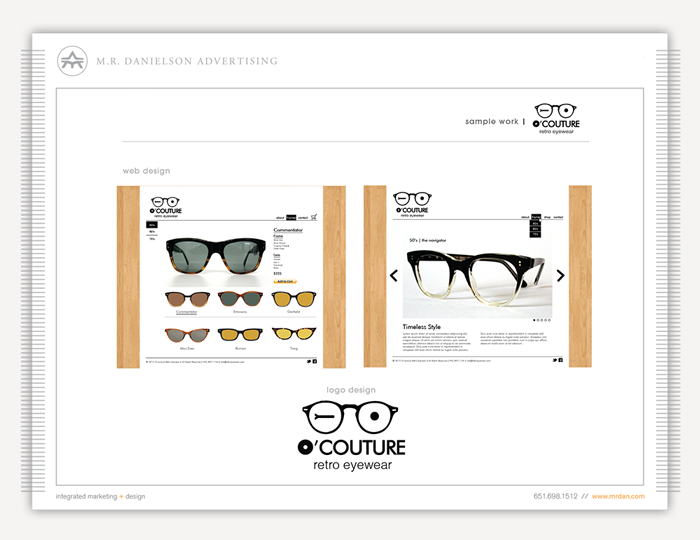 Agency created a back to school campaign for Fantom Optics that was sent to a targeted e-mail list we helped manage and develop. 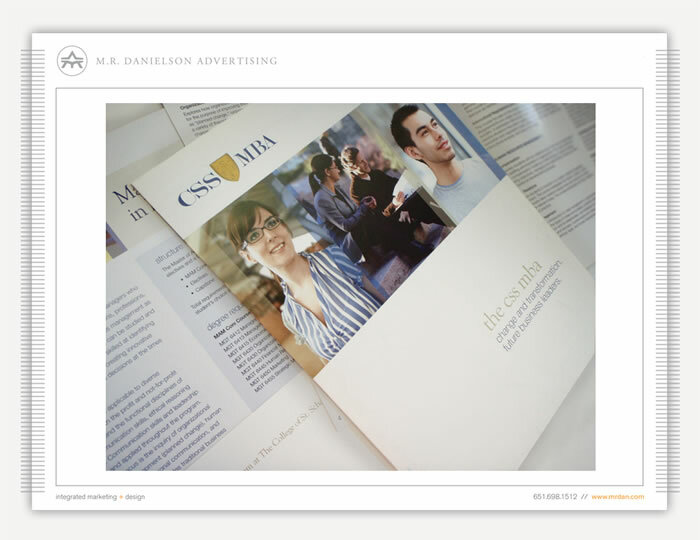 Our Agency integrated marketing analytics in this project and received data back to support a successful engagement rate. 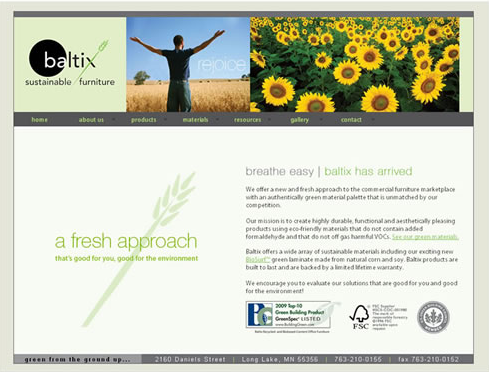 Created and designed an on-line advertisement for Baltix Sustainable furniture. 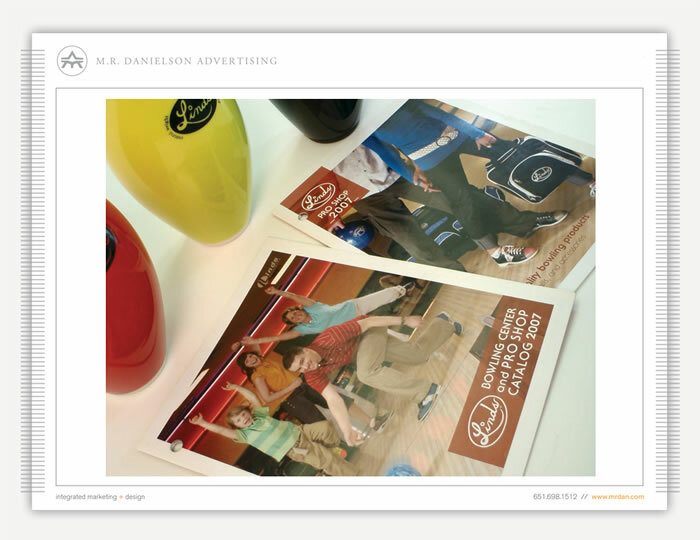 Our agency targeted this campaign through a qualified e-mail list and studied and recorded the results through our in-hose Marketing Analytics service. 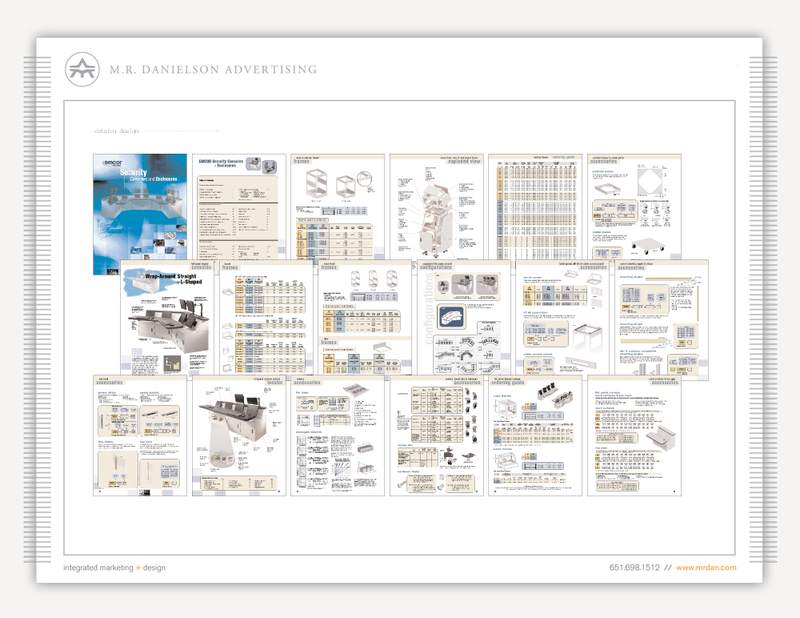 Brand Strategy – Created a print campaign that included ads, brochures, and data sheets. 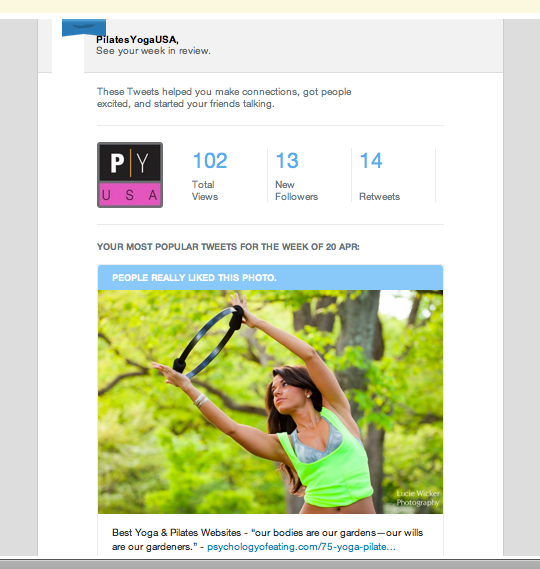 PilatesYogaUSA – An on-line web environment focusing on Pilates and Yoga. 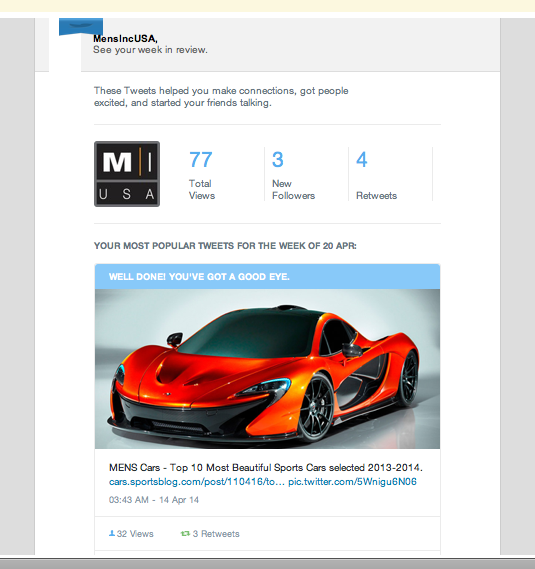 Our agency developed a new-media strategy that integrates this social media network to target audiences. 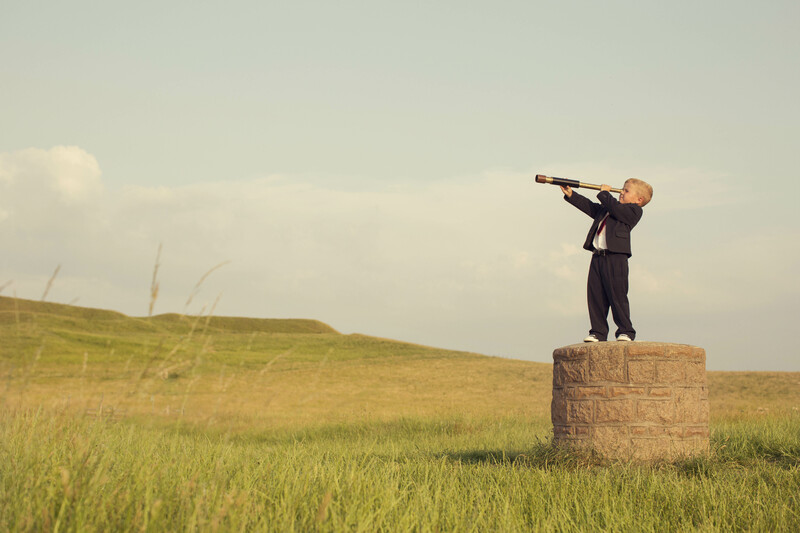 Analytic and detailed information is tracked and a matrix is applied for future studies and analysis. 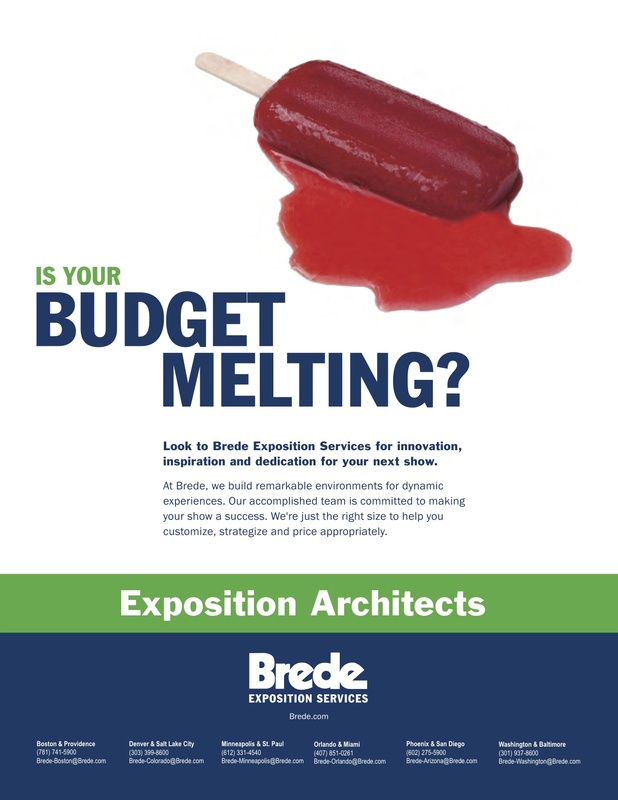 Advertisement – Our agency each year creates a series of ads for Brede Exposition to help sell their trade show services. 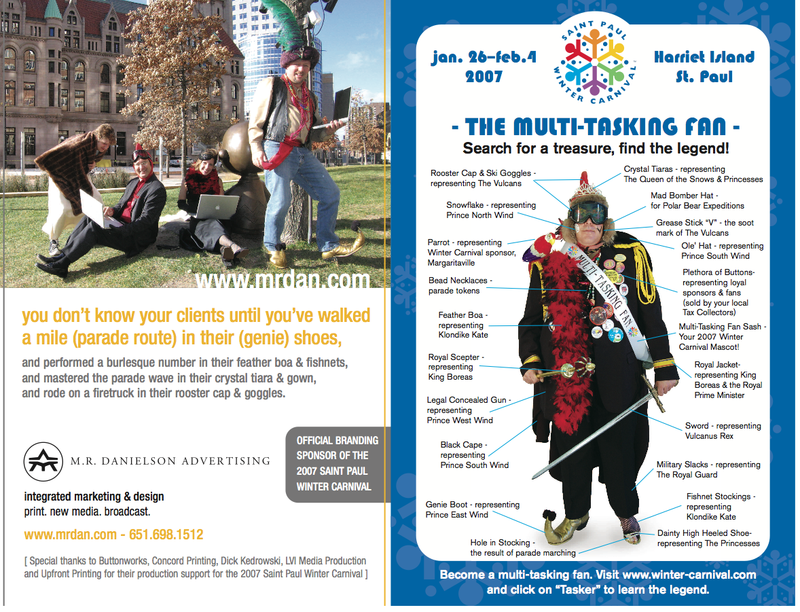 We branded these ads with an effective style sheet as well as a strong bold photograph and graphic message. 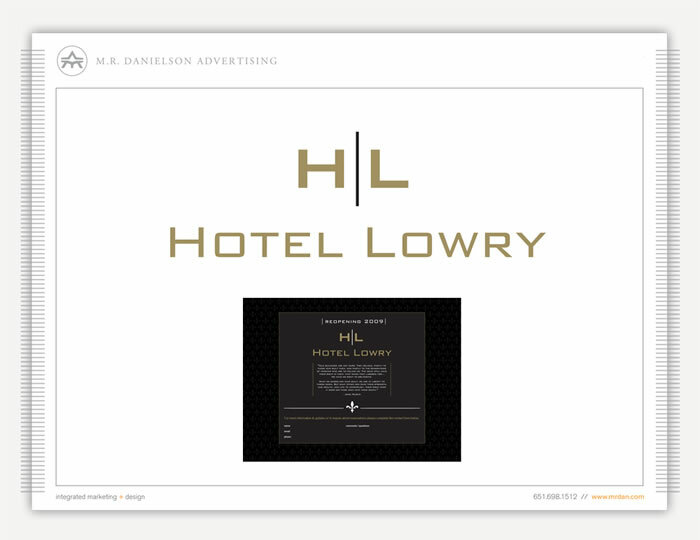 Advertisements – Created and Designed a powerful and aesthetic ad that spoke to our audience of travelers and adventurers. 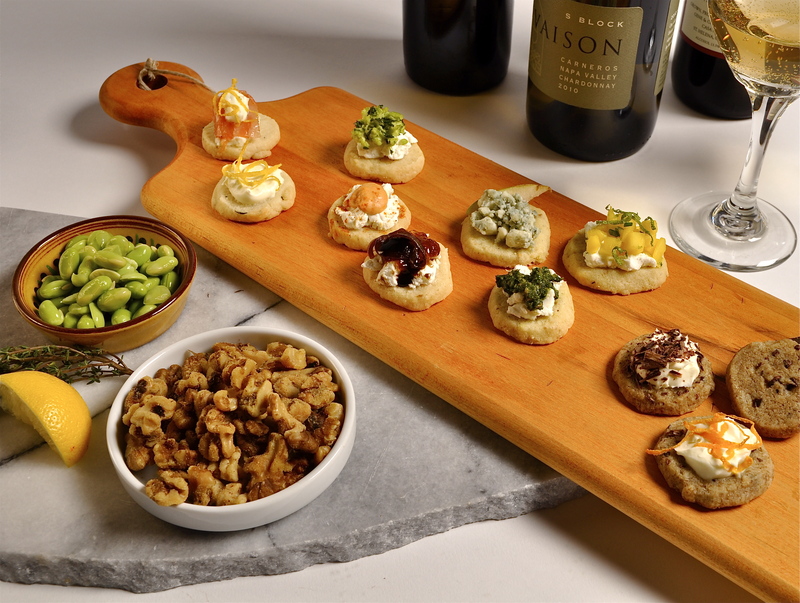 The photographs were selected and shot in studio lighting to create the crisp theme we needed. Creative Consultation. Art Direction. 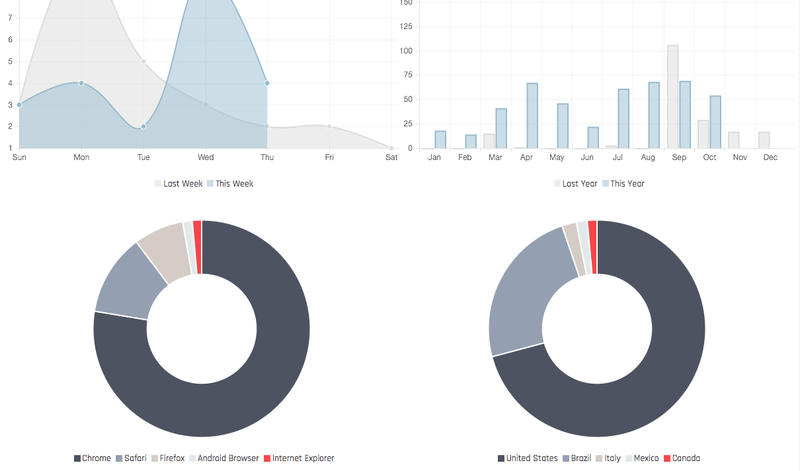 Online Marketing & Analytics. 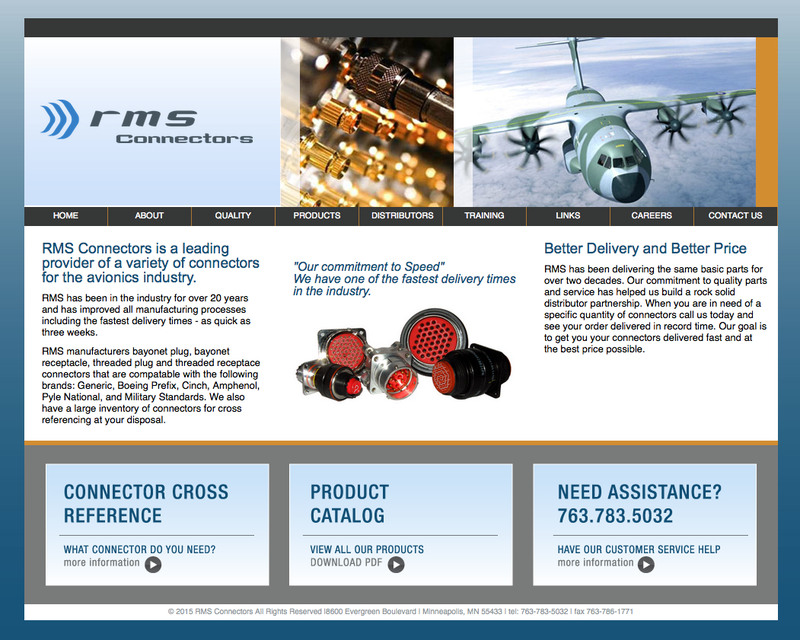 Web & Digital Design. Photography, Video & Illustration. 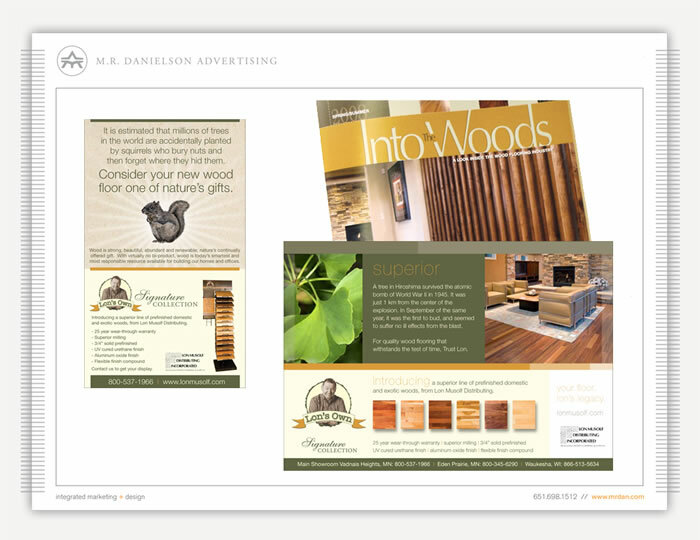 Designer, Digital Productions, Sales & Marketing & Social Media Content at M. R. DANIELSON Advertising. 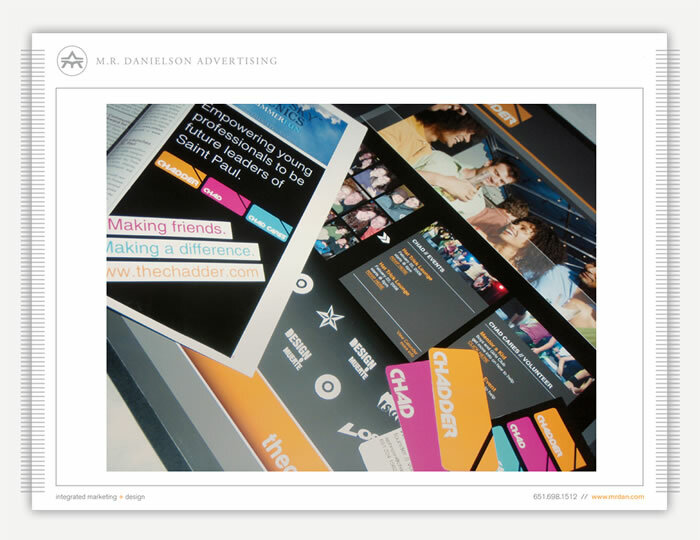 Mike is an experienced Web Developer & Designer, Digital Design & Art Director at M.R. 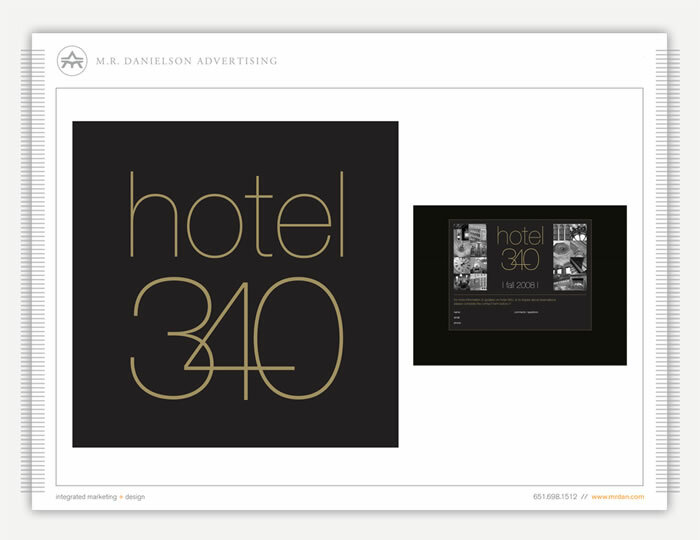 DANIELSON ADVERTISING. 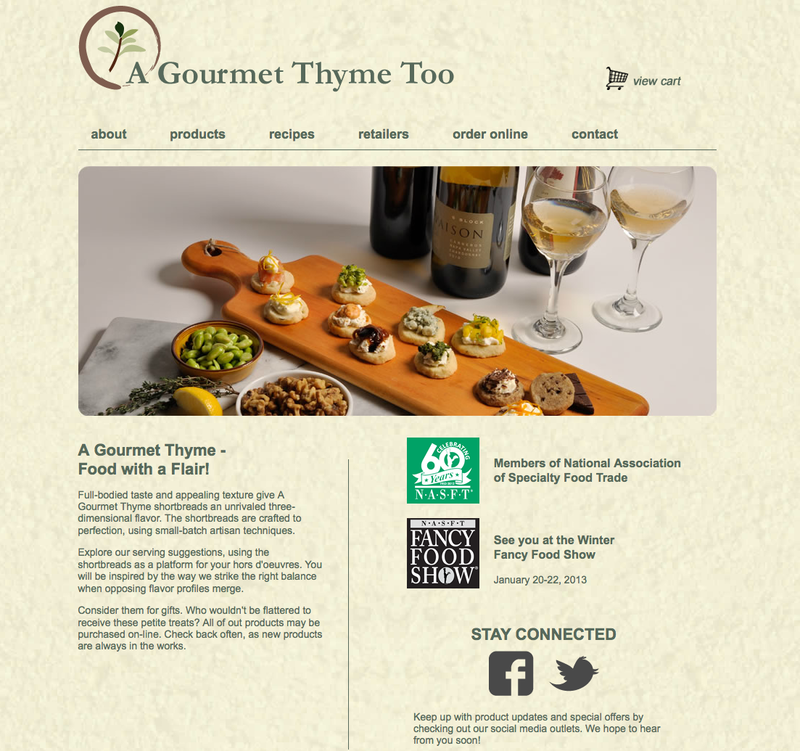 Patrick Garvey – Art Director, Content Marketer & Digital Designer at M.R. 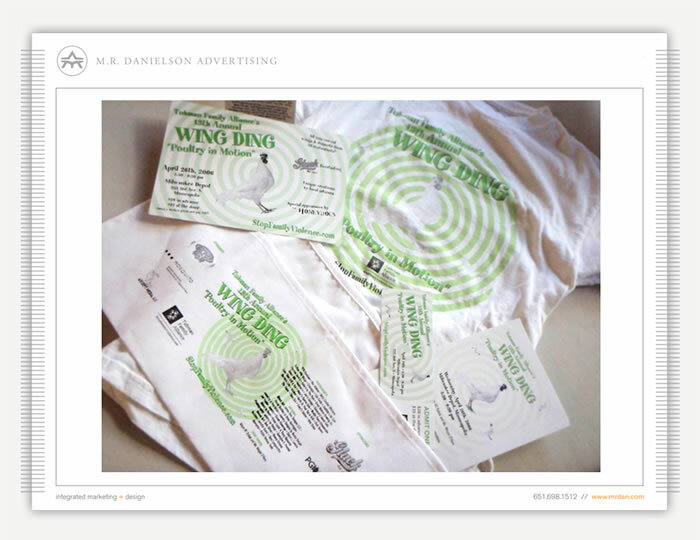 DANIELSON ADVERTISING. 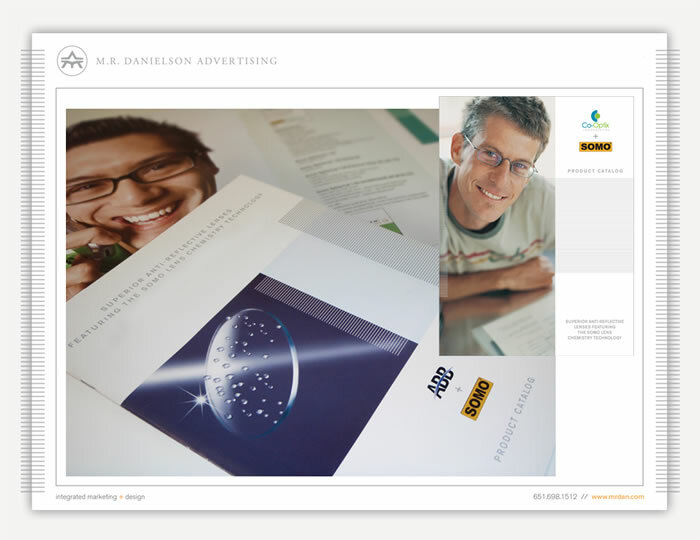 David is a Web Designer, Programmer, Videographer & Animator at M.R. 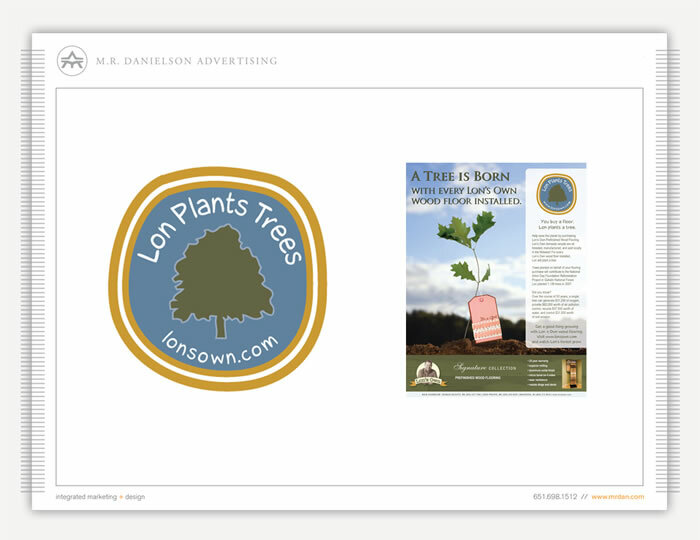 DANIELSON ADVERTISING. 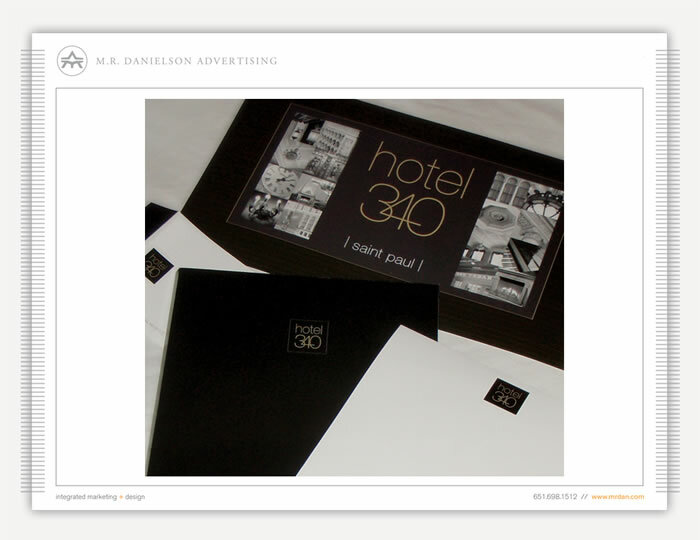 Michael is an Art Director, Illustrator, Writer, Artist, and Designer at M. R. DANIELSON ADVERTISING. 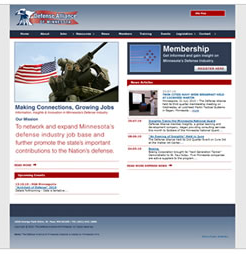 Jenna Dominik is a Contractor with Marketing & Sales skills at the agency. 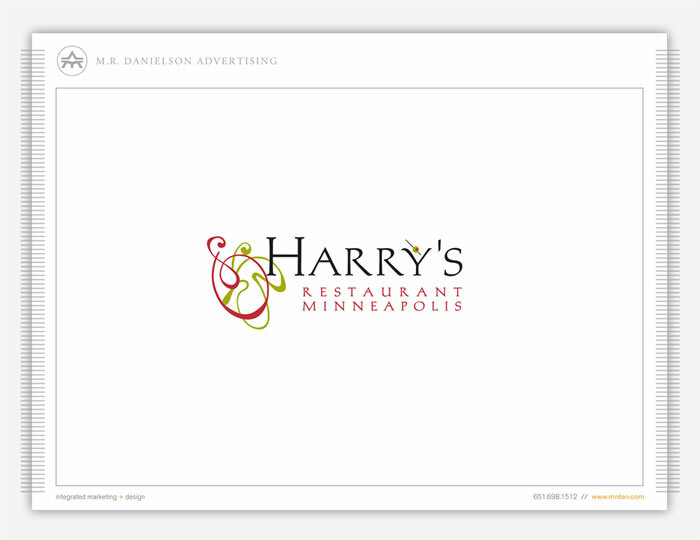 She is an Account Administrator and Art Director at M. R. DANIELSON ADVERTISING. Alexandra is an Account Executive & Art Director at M.R. 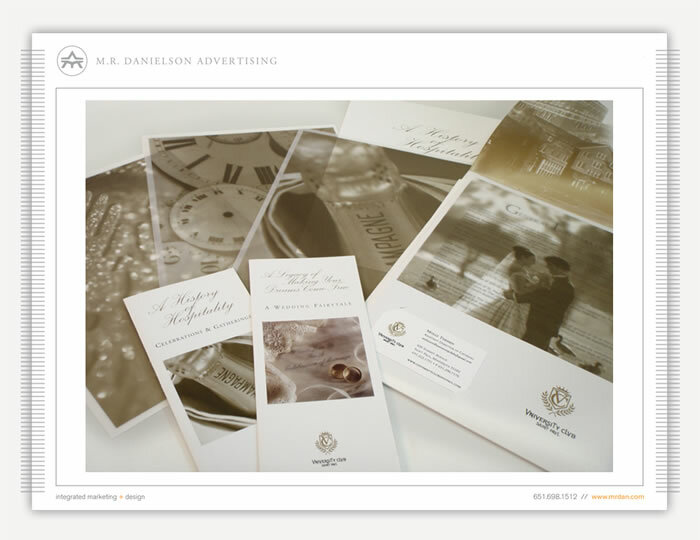 DANIELSON ADVERTISING – NYC studio. 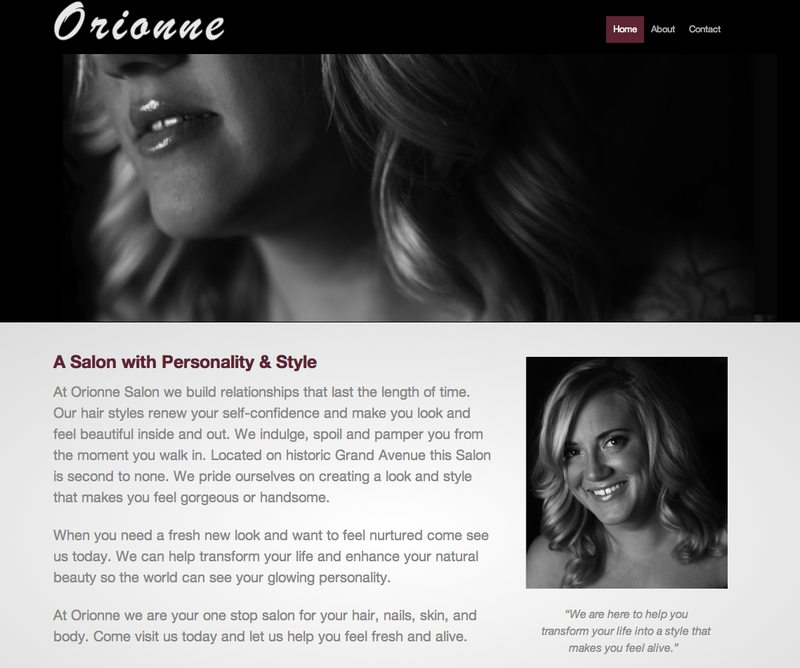 She is also a managing partner of our fine art studio – NewYorkCityAtelier.com. 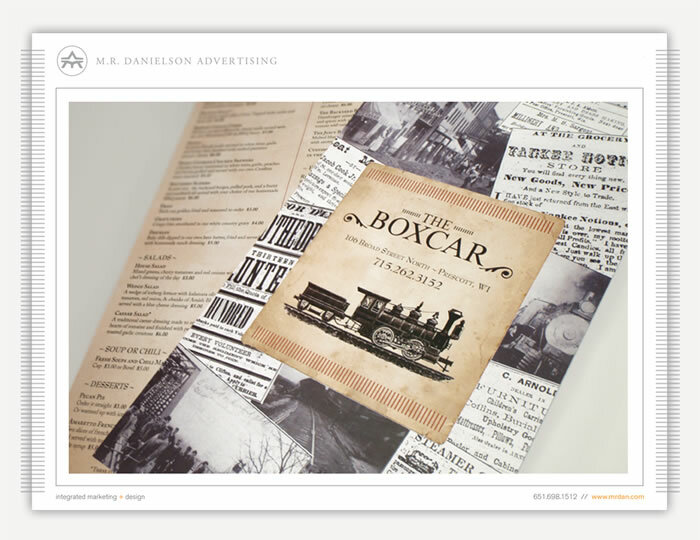 Kobe is a Marketer, Designer, Illustrator, & Art Director at M. R. DANIELSON ADVERTISING. 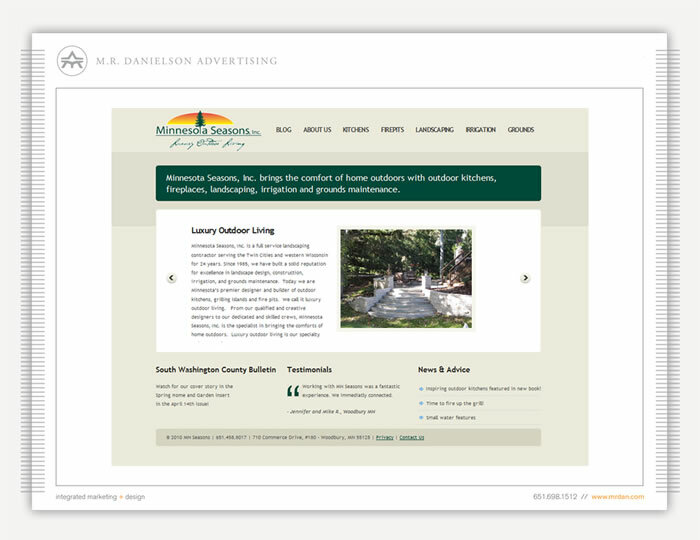 Melanie is an Account Administrator & Sales Director at M. R. DANIELSON ADVERTISING. 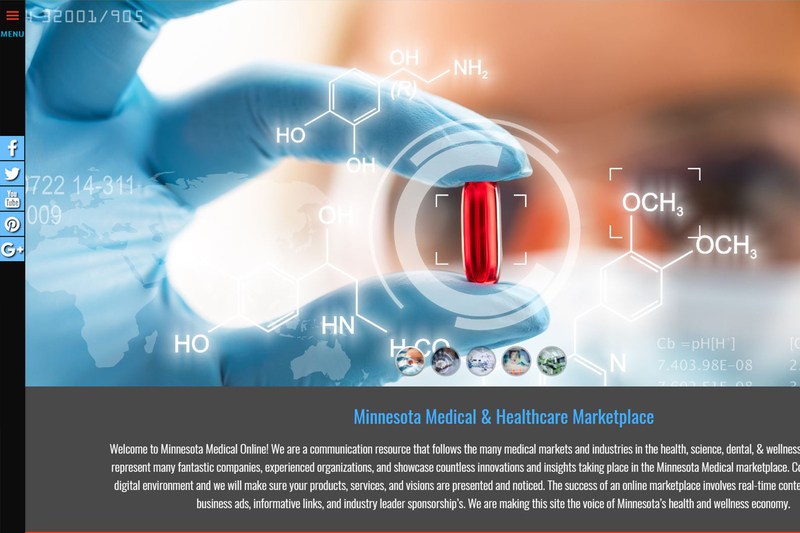 Publisher & CEO of MnMedical Online.com. 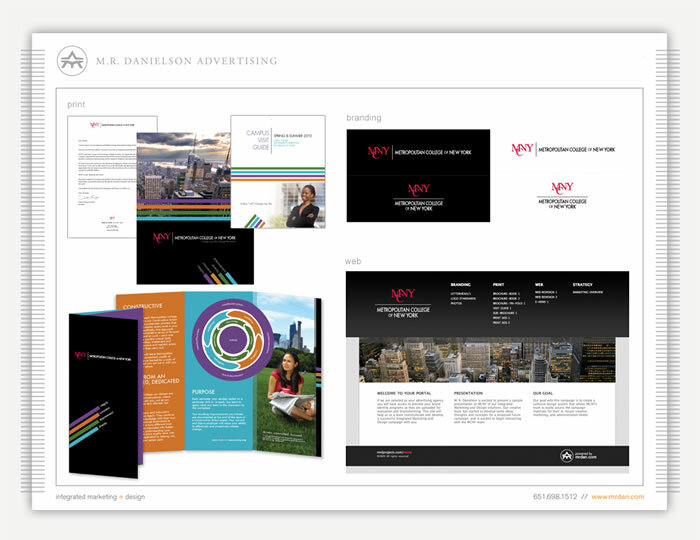 Julianna is a Art Director & Designer at M. R. DANIELSON ADVERTISING and manages our Manhattan, NY design studio. 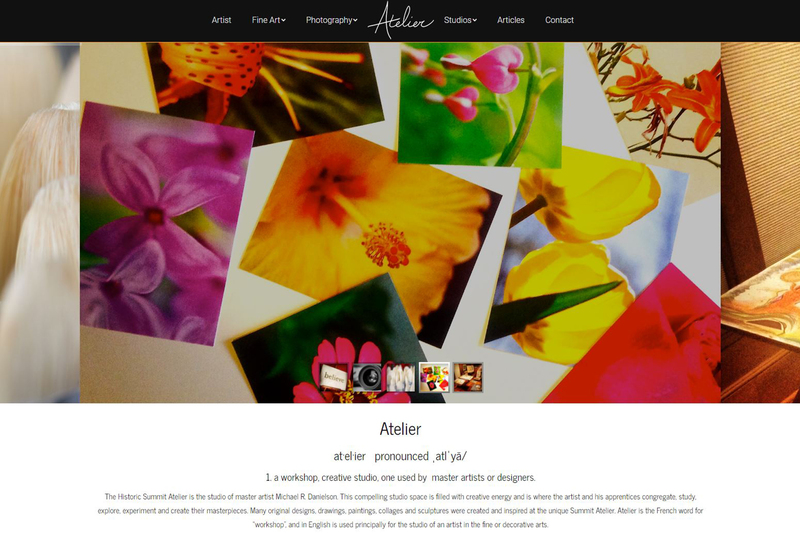 She is also managing partner of our fine art studio – NewYorkCityAtelier.com. 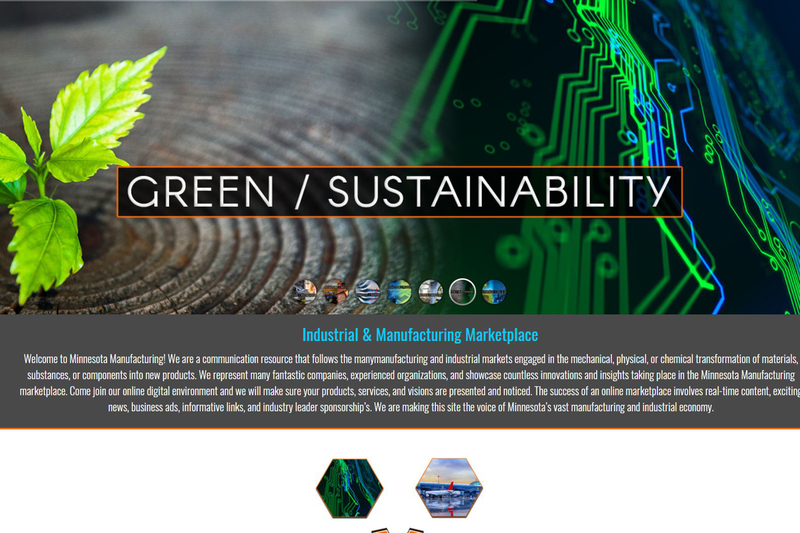 Greg is a Photographer, Videographer, Digital Print and Studio Imaging Specialist at M.R. 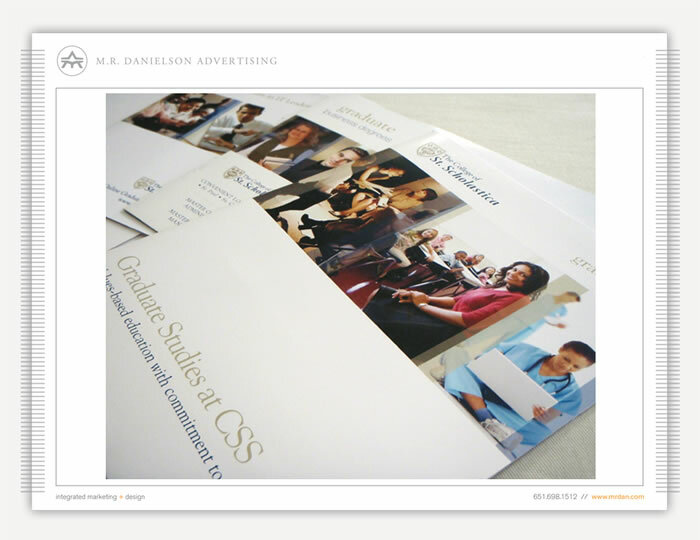 DANIELSON ADVERTISING. Monique is a Creative Director at M.R. 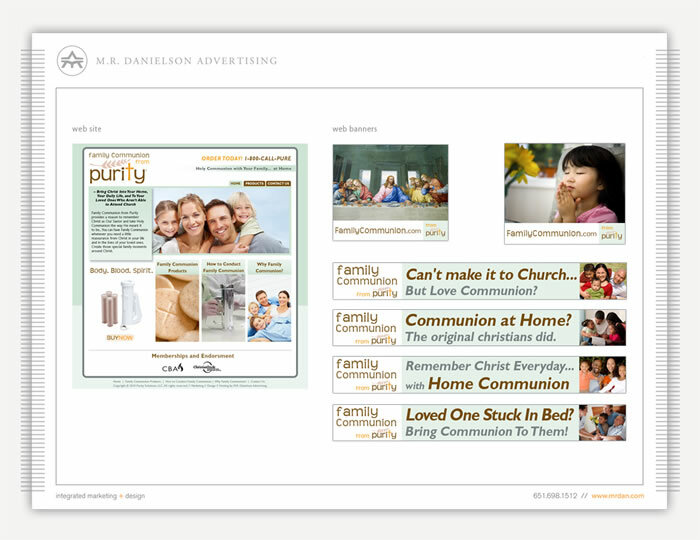 DANIELSON ADVERTISING and is a managing partner of our Social Media Division – COCOON. 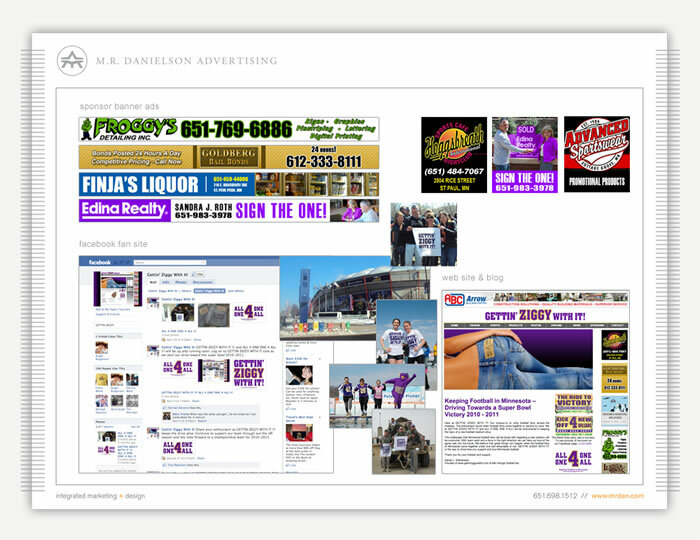 M. R. DANIELSON Advertising has always left big impressions. It wasn’t until some ancient discovery in the stone work of the ancient Egyptian temple did archeologists come across the MRD symbol etched in a stone tablet. 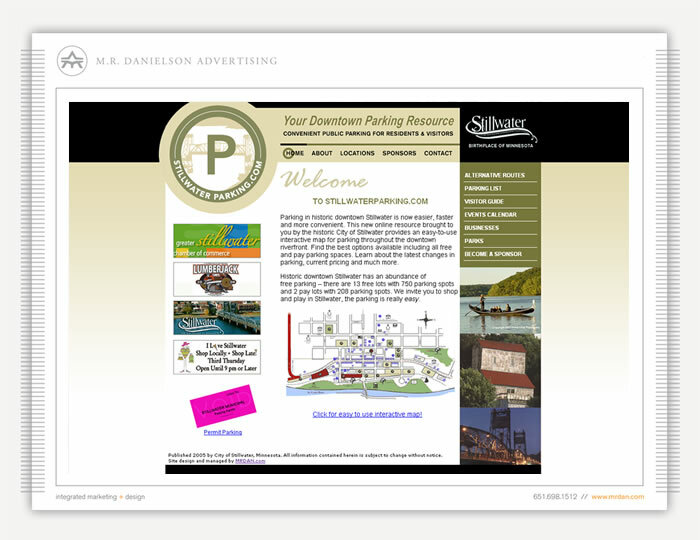 M. R. DANIELSON Advertising has always been a big part of Minnesota, Saint Paul, and the Twin Cities. 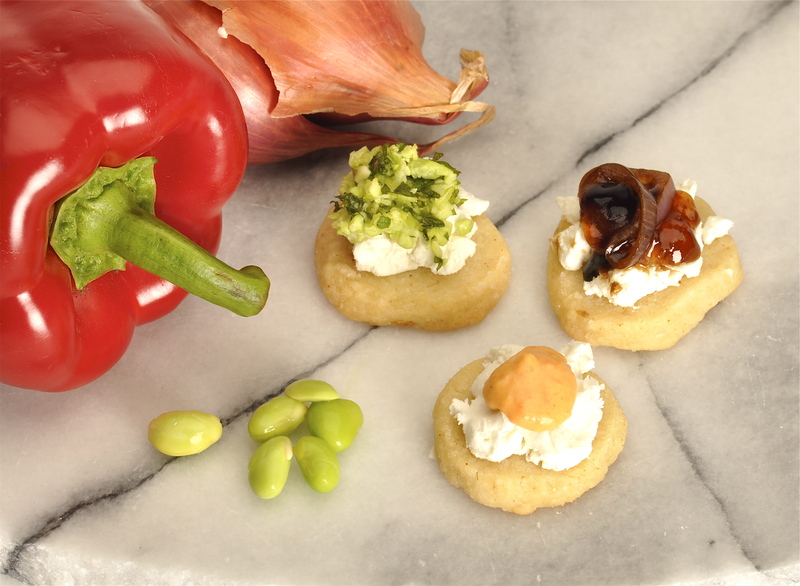 Great Impressions Leave Their Mark. 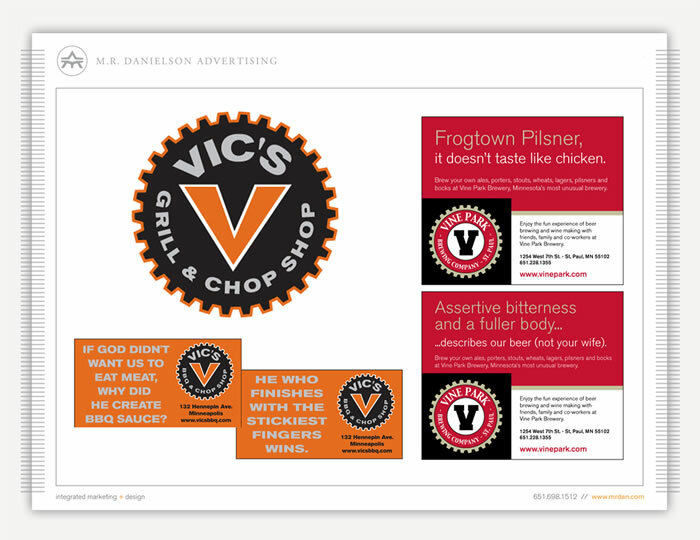 Like a bold brand, stark logo, a memorable marketing statement, or a powerful image, great advertising should last the test of time. 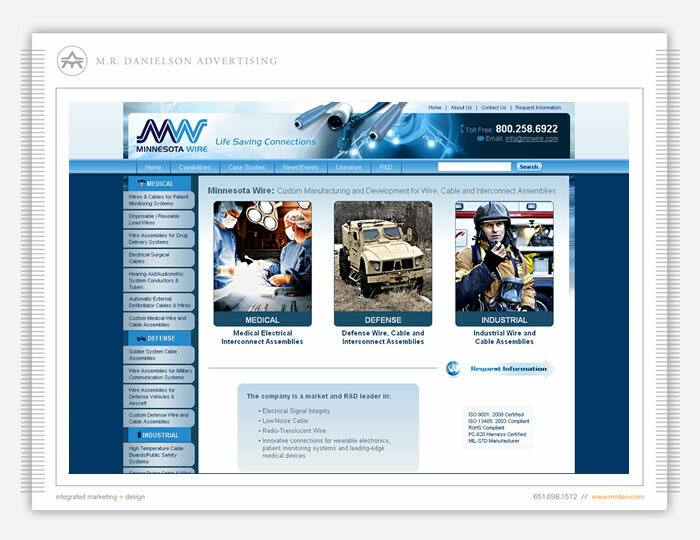 At M. R. DANIELSON Advertising we build brands that last a lifetime. 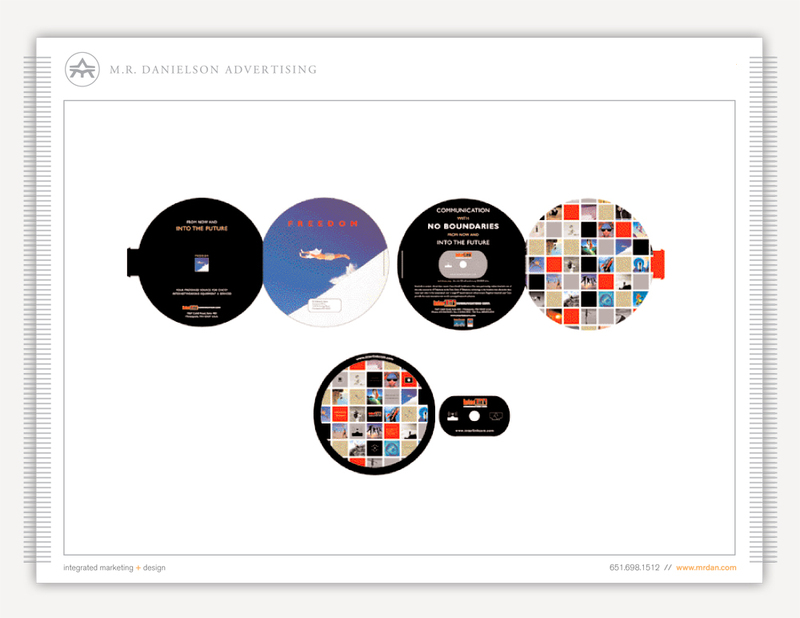 M. R. DANIELSON ADVERTISING was established in 1988 by Michael R. Danielson. 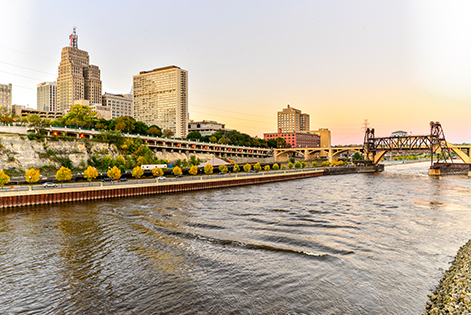 Michael was fresh out of art college (Minneapolis College of Art & Design) when he started working at a small advertising agency where he learned the valuable skills of how to run a creative communications firm. 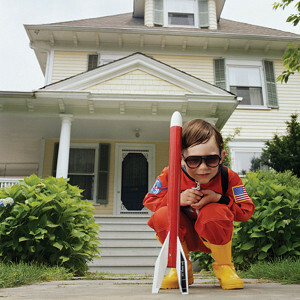 When we were young, we believed we could do anything. 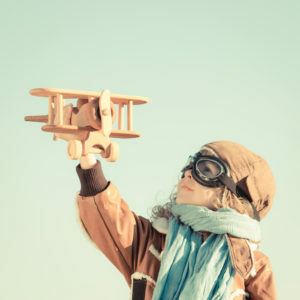 We stretched out our arms wide like the wings of a plane and believed we could fly. 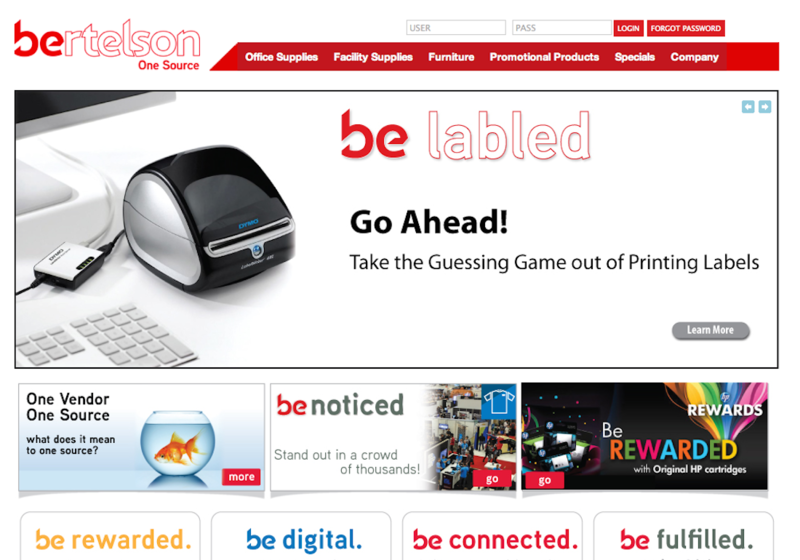 Time to bring your business to that next level. 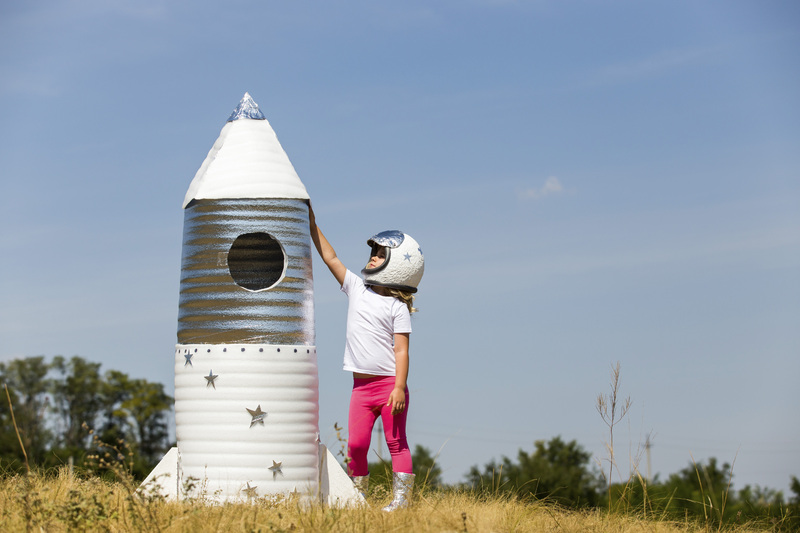 "CREATIVITY THAT'S OUT OF THIS WORLD." 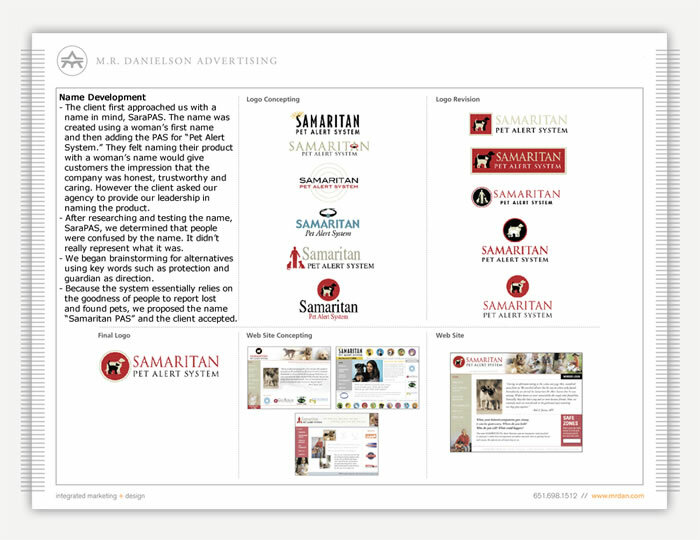 Learn More About MRDAN From Our Social Links!